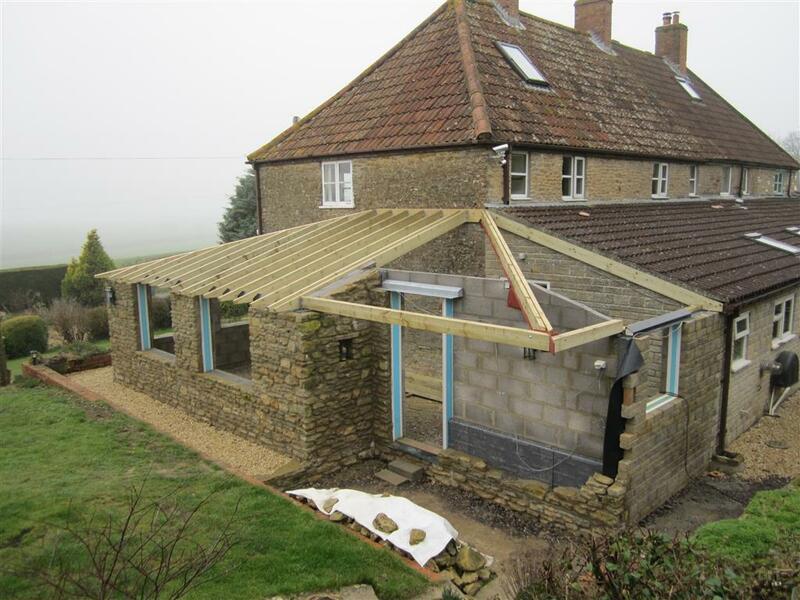 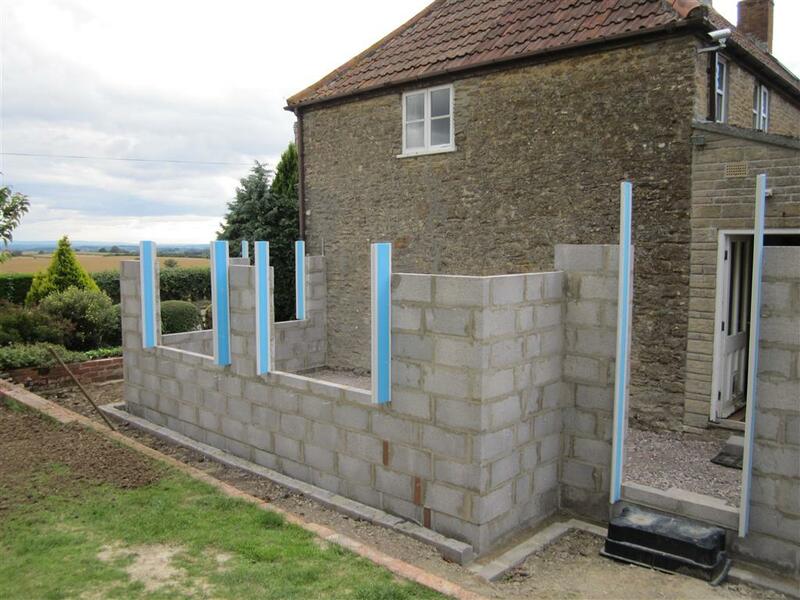 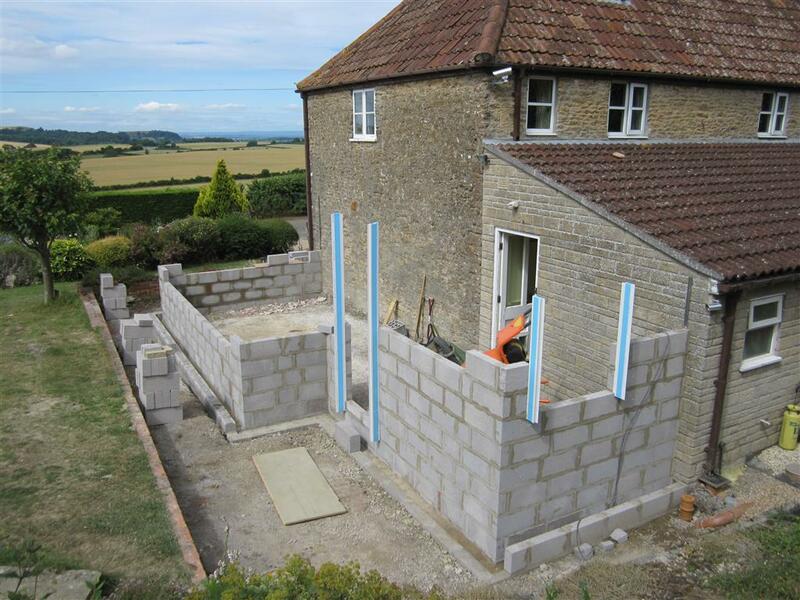 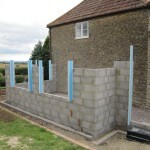 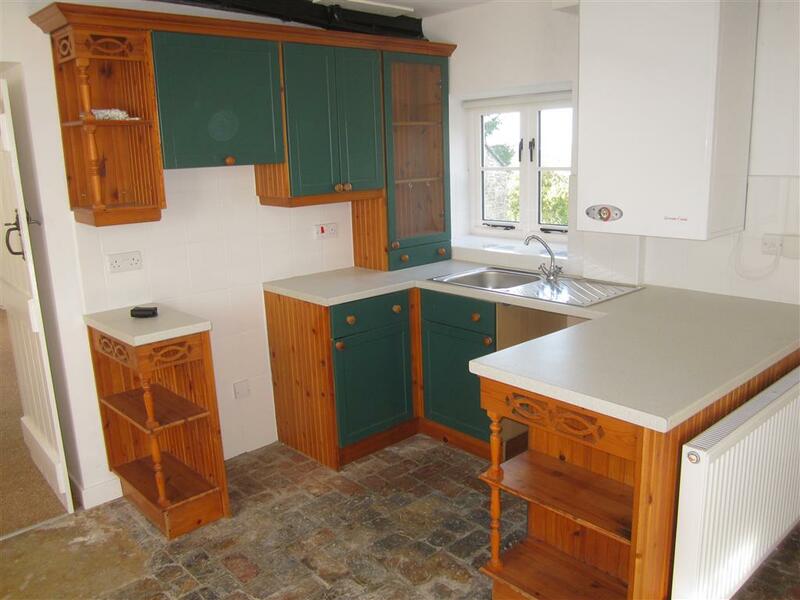 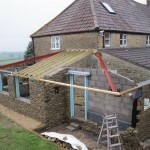 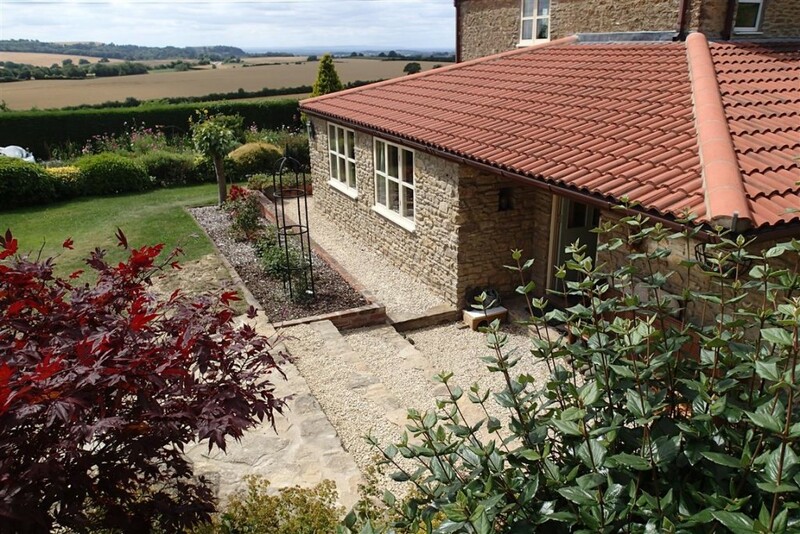 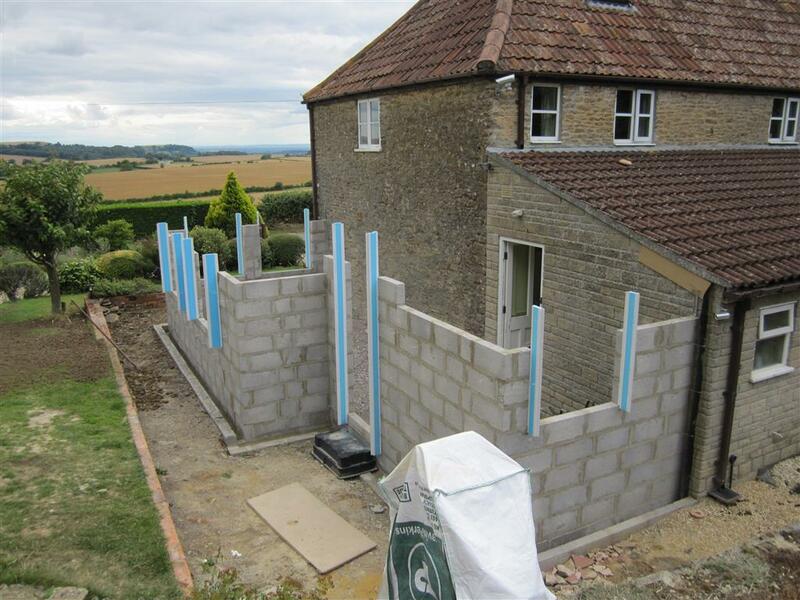 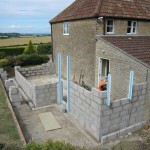 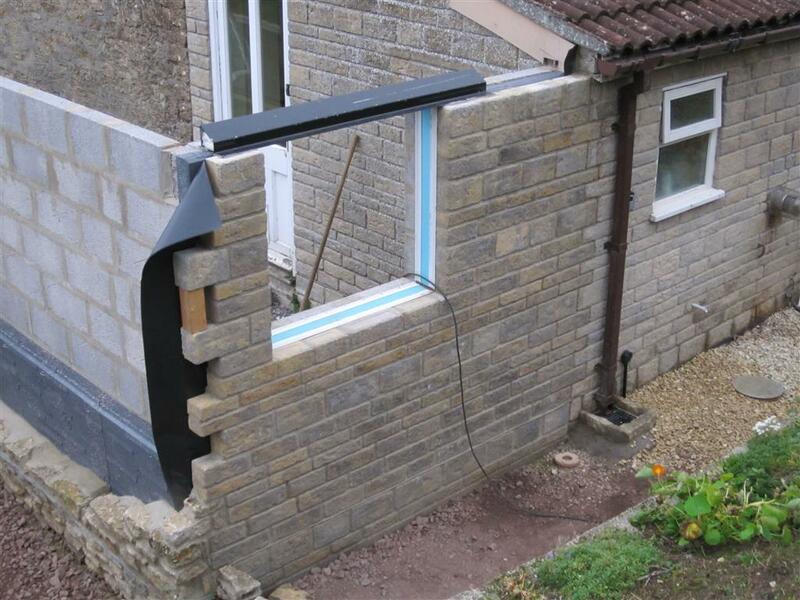 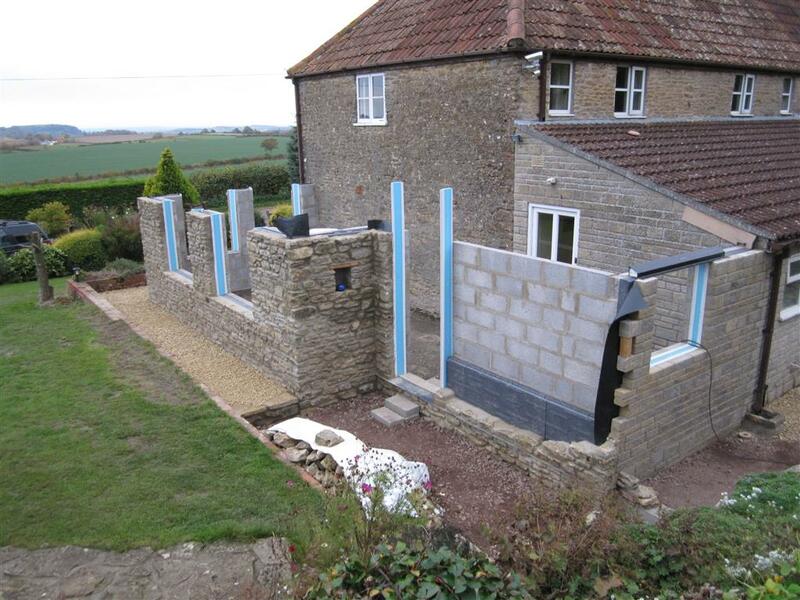 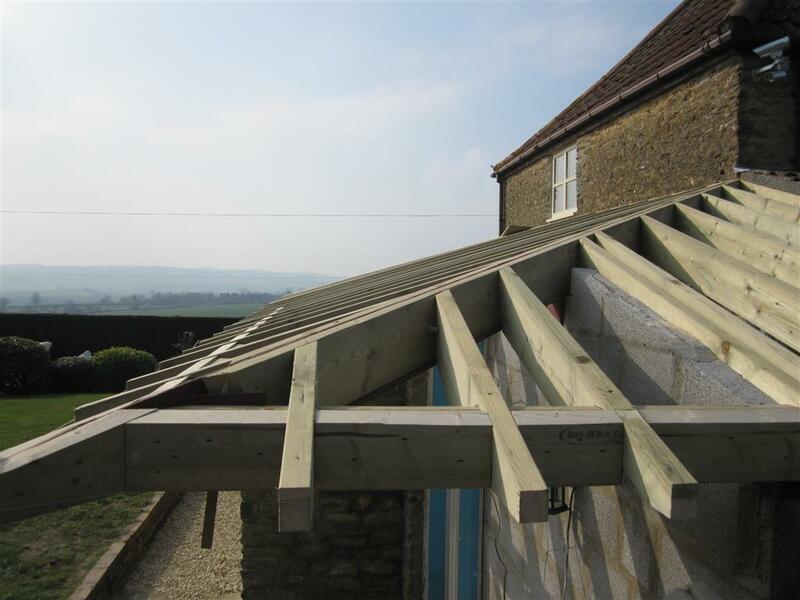 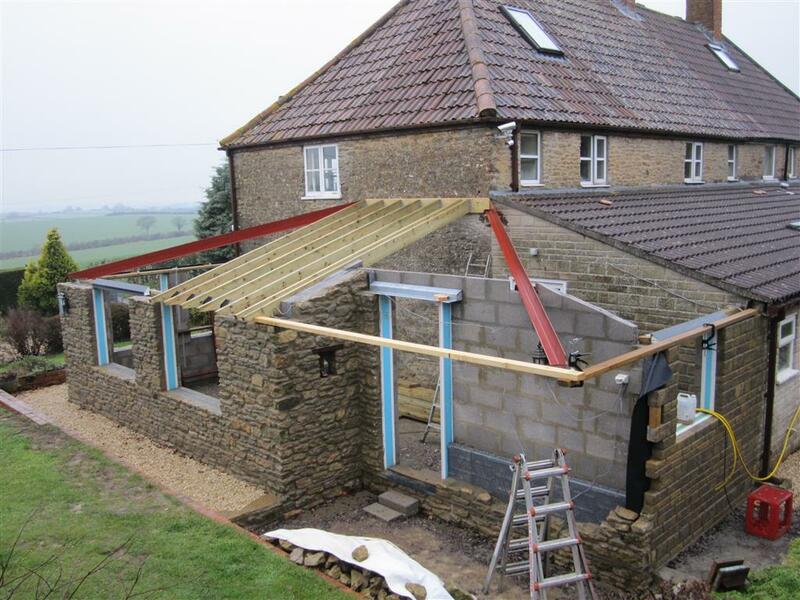 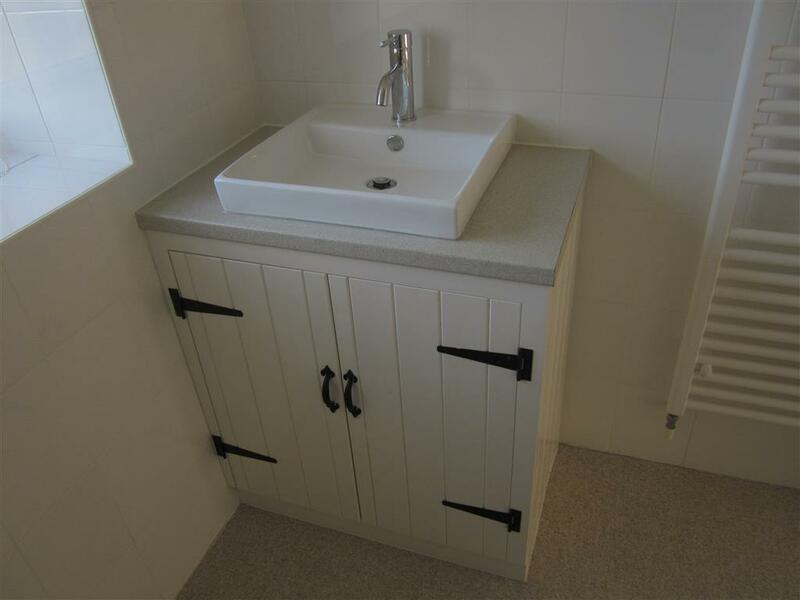 At Wincanton Joinery we have over 40 years experience in the construction business which enables us to provide customer focused project management and property renovation services. 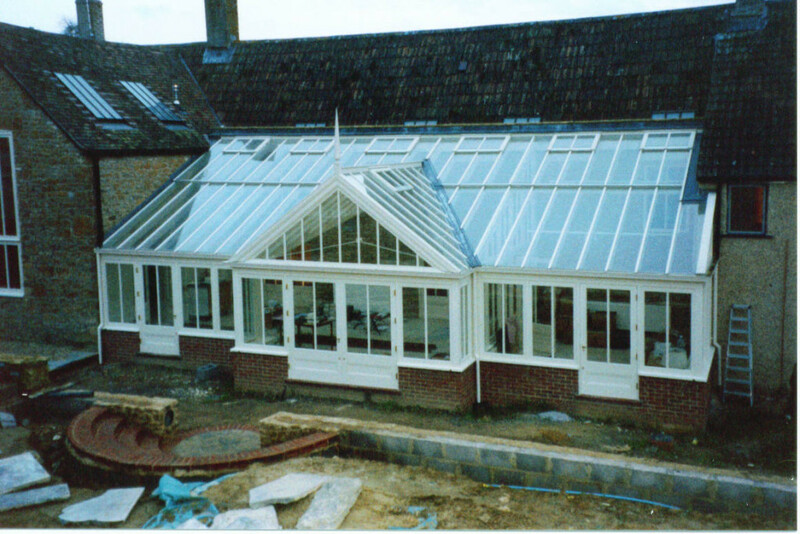 We combine traditional professional practices with modern technology and systems which enable us to provide our clients with reliable, appropriate and cost effective solutions to projects of all sizes. 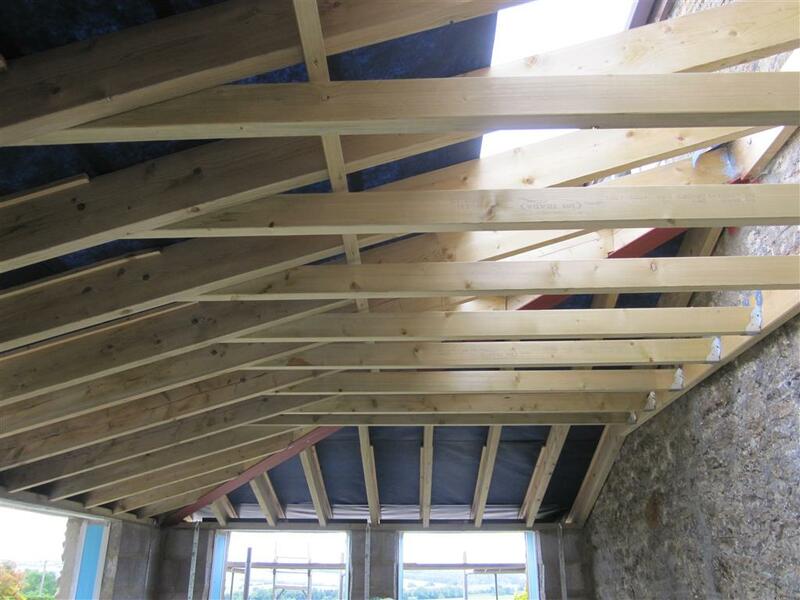 Whether you are developing a new property or refurbishing an existing one, we will guide you through the process from project inception to final fit-out. 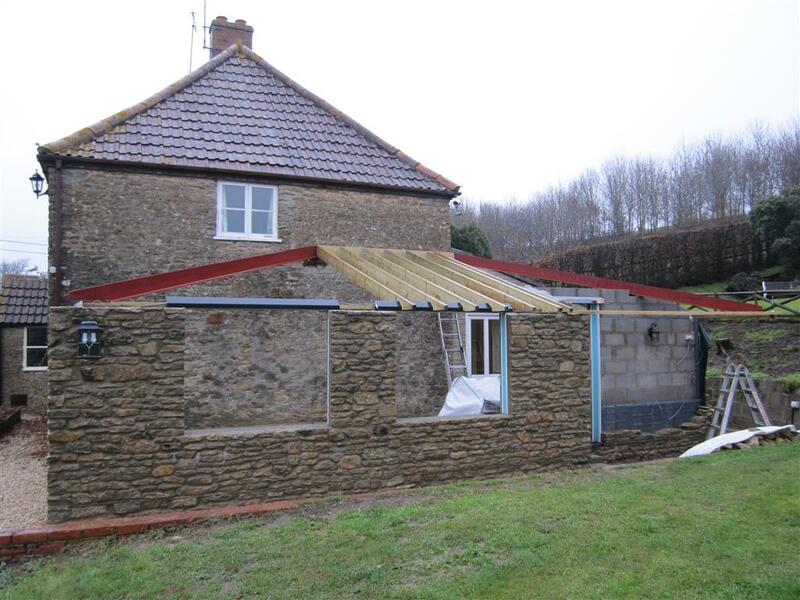 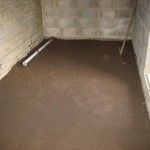 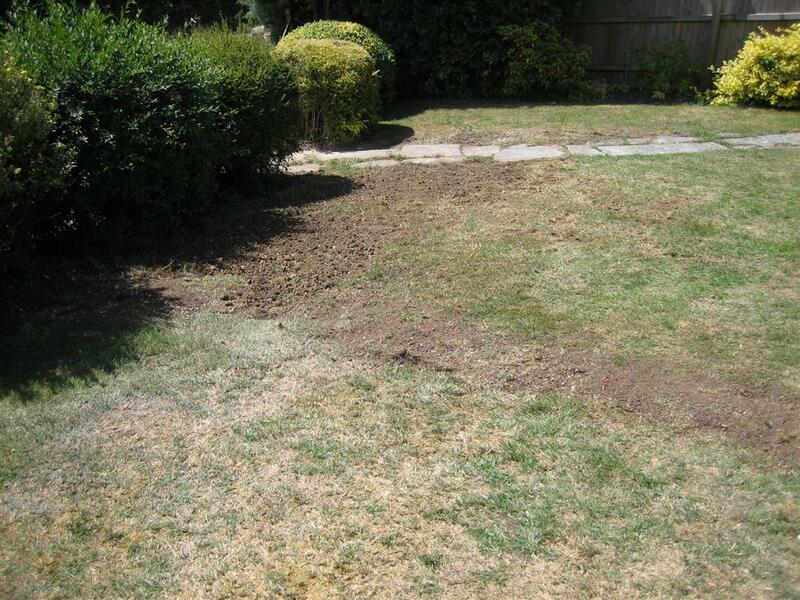 Peter will personally work closely with you, and either your contractors or our own tradesmen, in order to produce a functionally and financially viable project that will be completed on time within authorized costs and to the required quality standards. 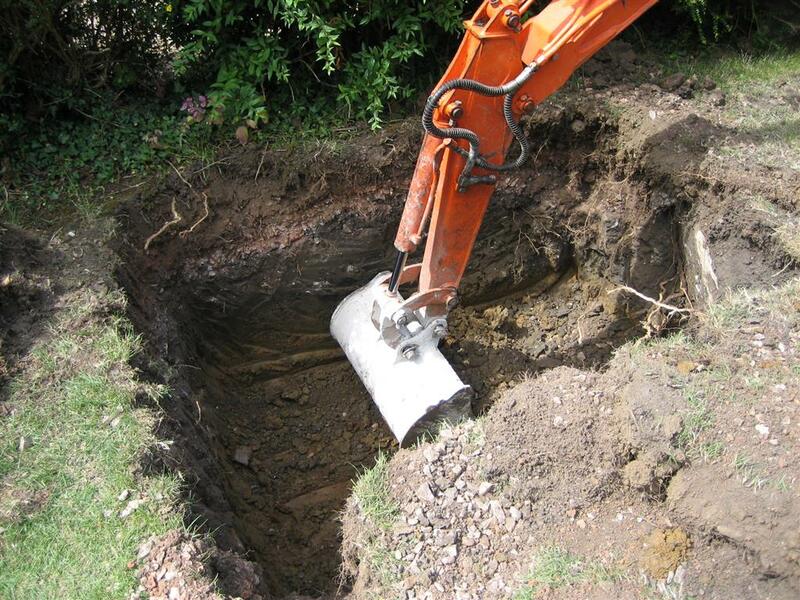 By agreement we will set schedules, keep an eye on finances and procurement, make sure everybody is where they’re supposed to be every day (and doing what they’re supposed to be doing), ensure there are no safety hazards around, and in general, keep everyone happy and the job on track. 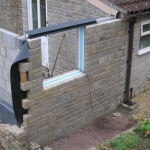 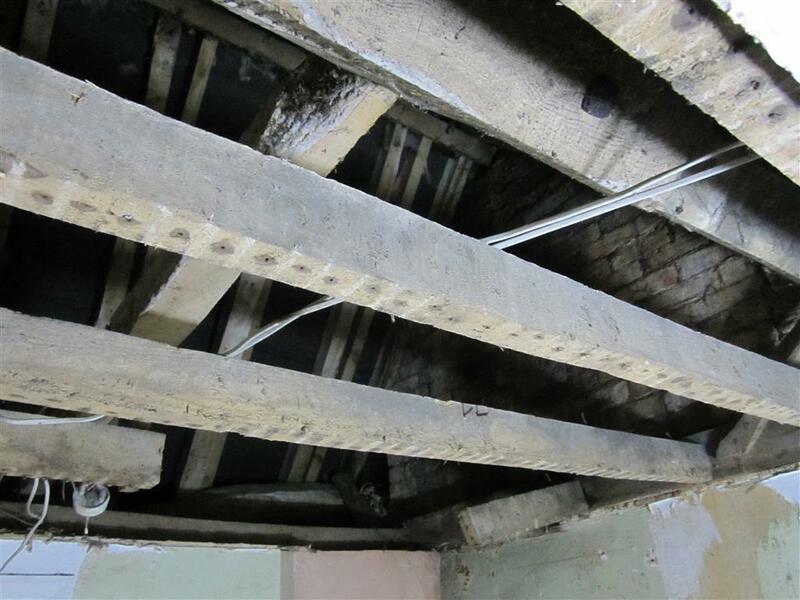 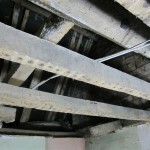 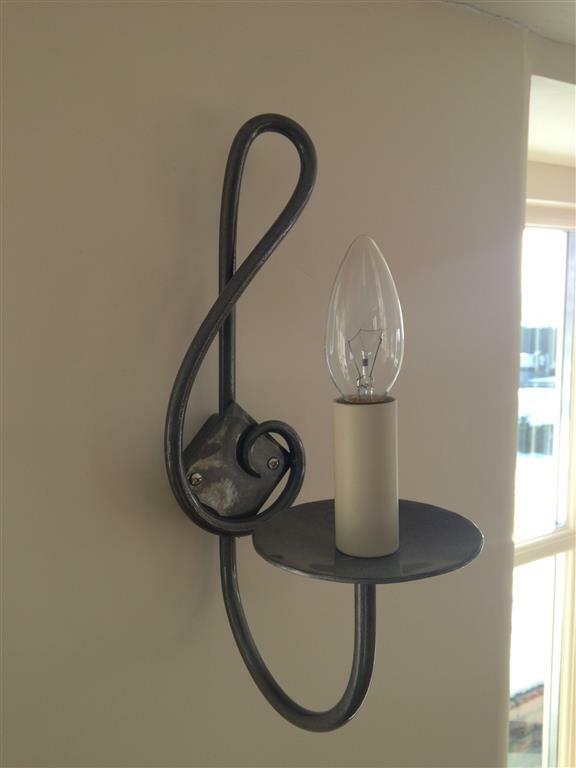 We are flexible enough to be able to provide a level of service tailored to your own unique requirement for building project management, property renovation or planned maintenance. 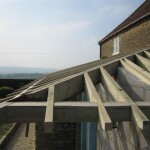 Contact us now if you are planning a building project, renovation or just in need of a maintenance plan, and see how Wincanton Joinery can save you money at the same time as guiding you through the process. 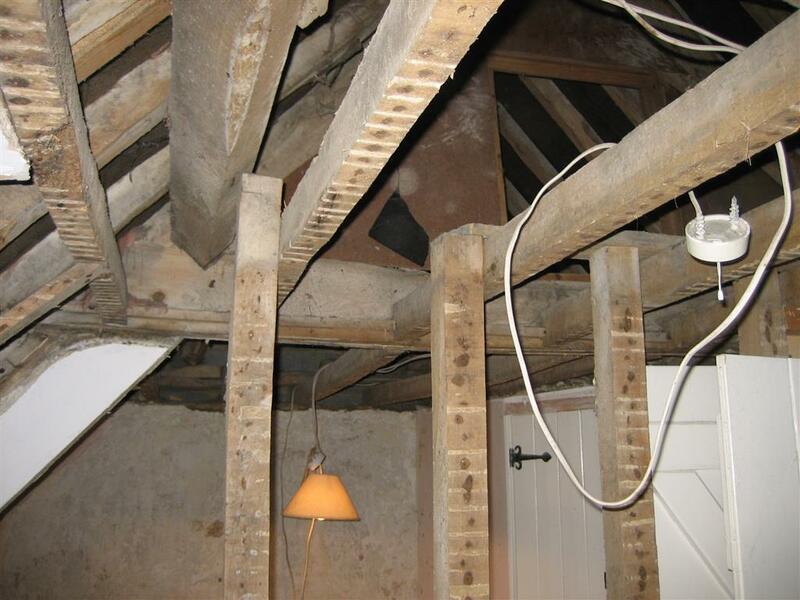 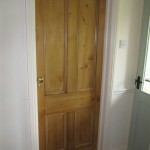 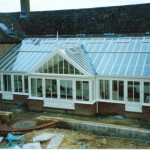 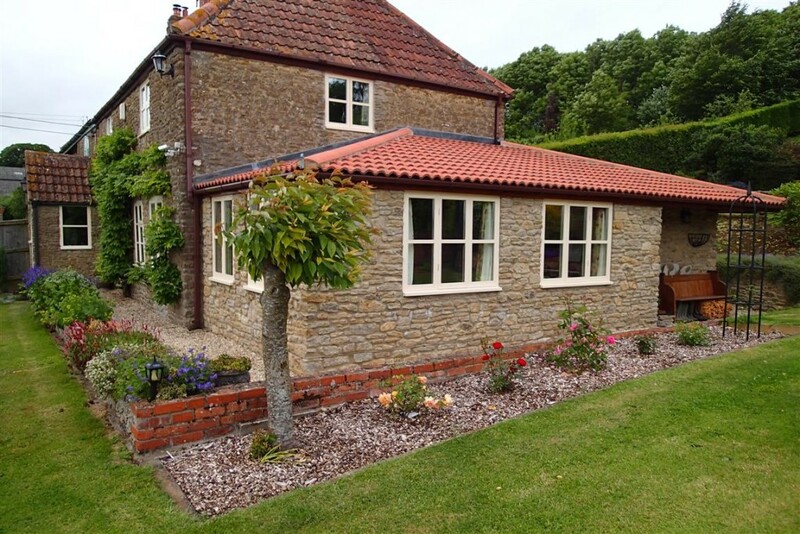 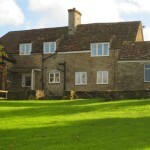 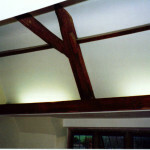 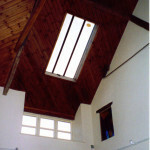 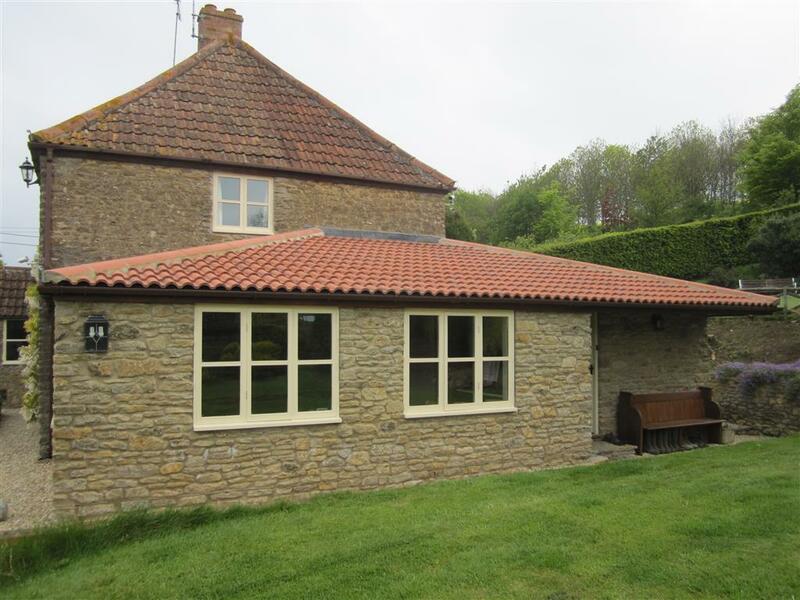 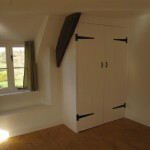 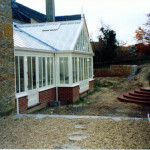 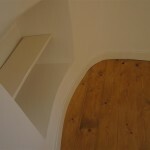 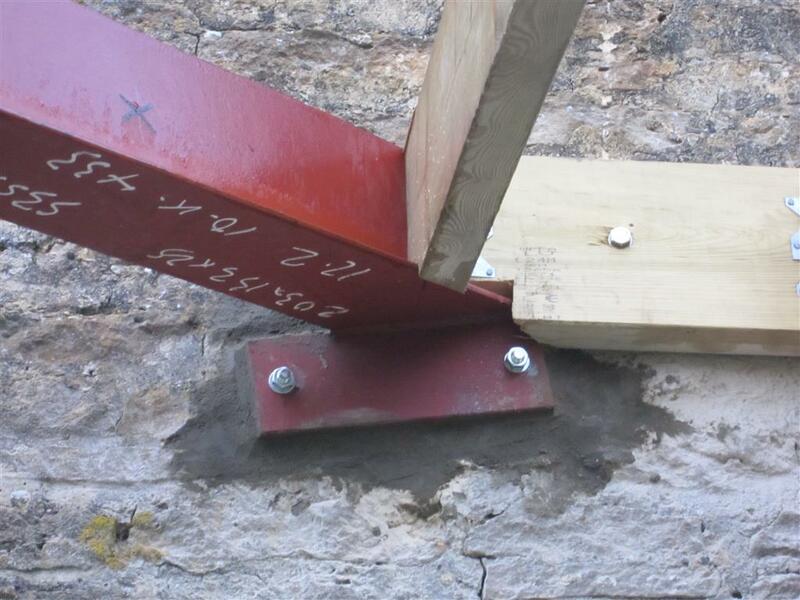 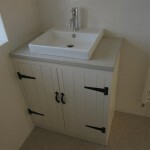 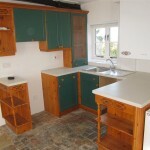 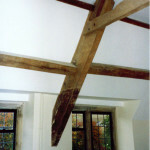 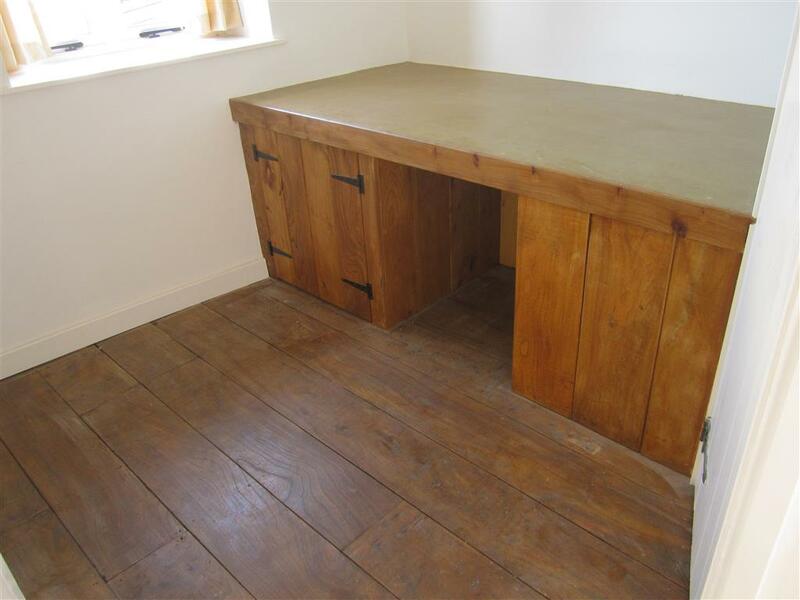 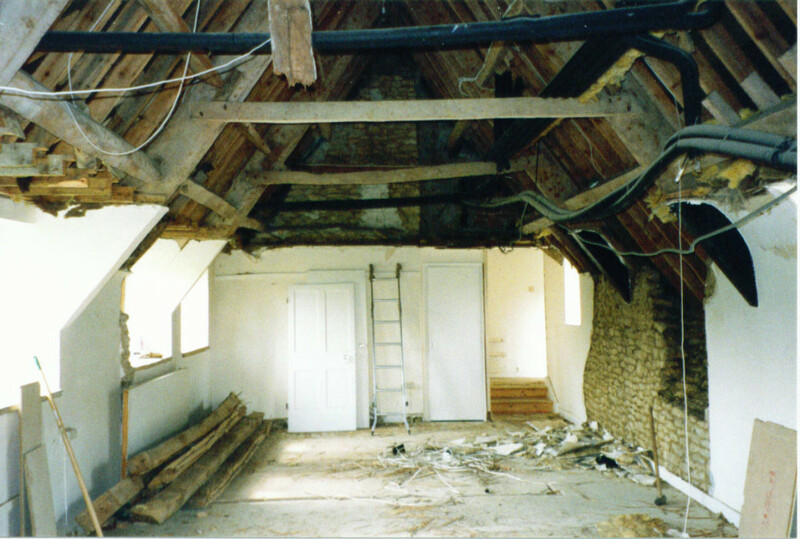 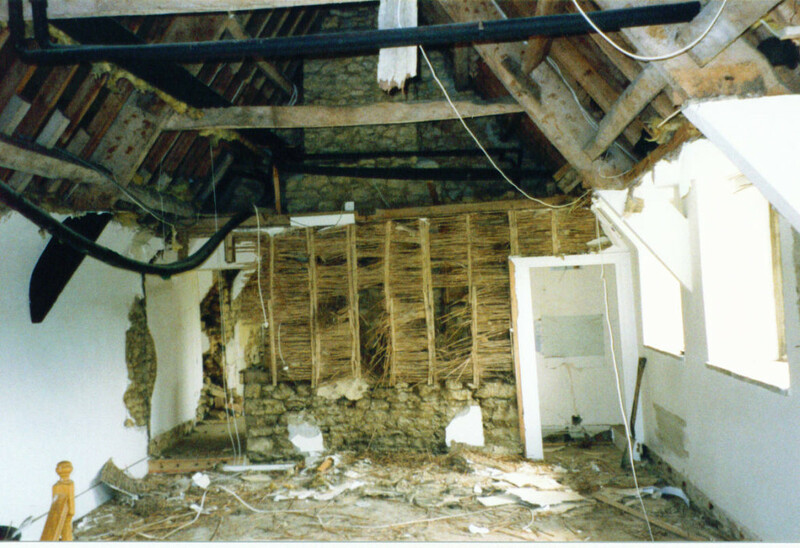 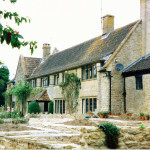 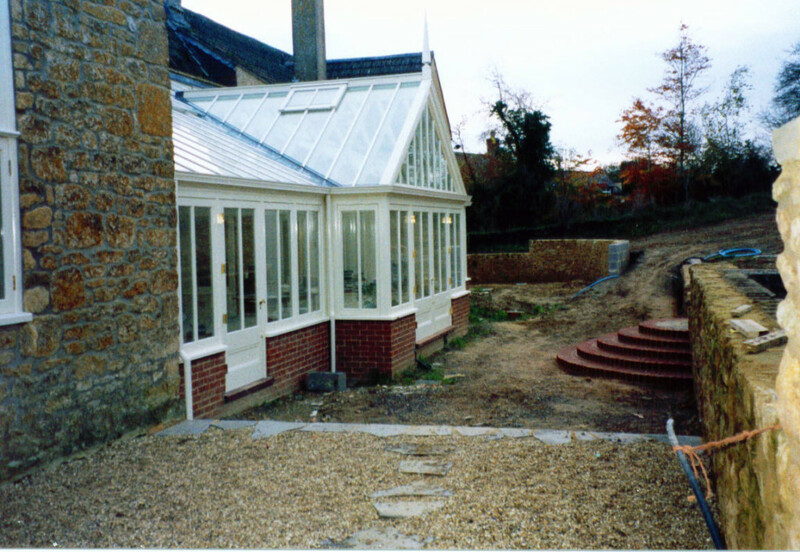 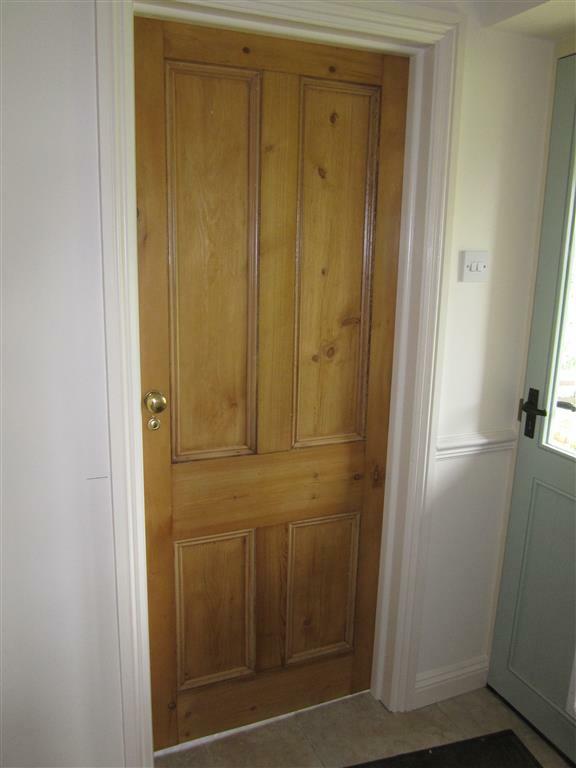 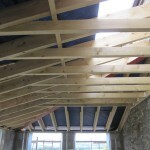 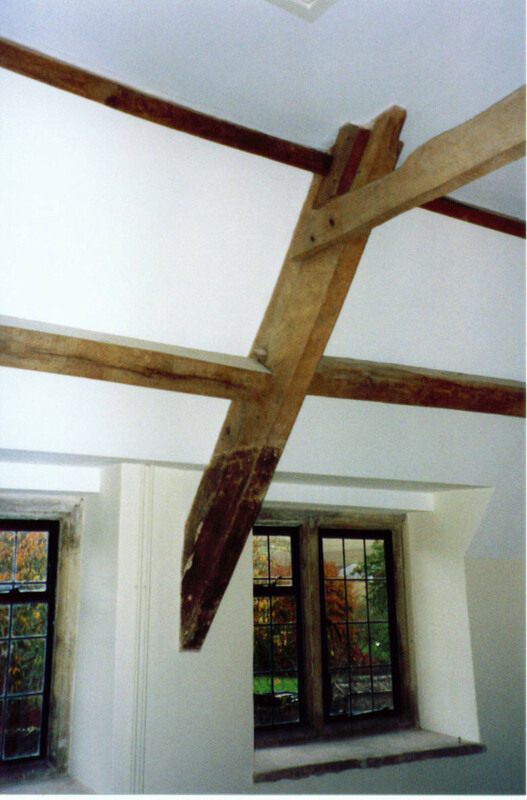 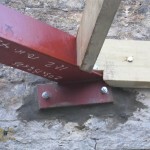 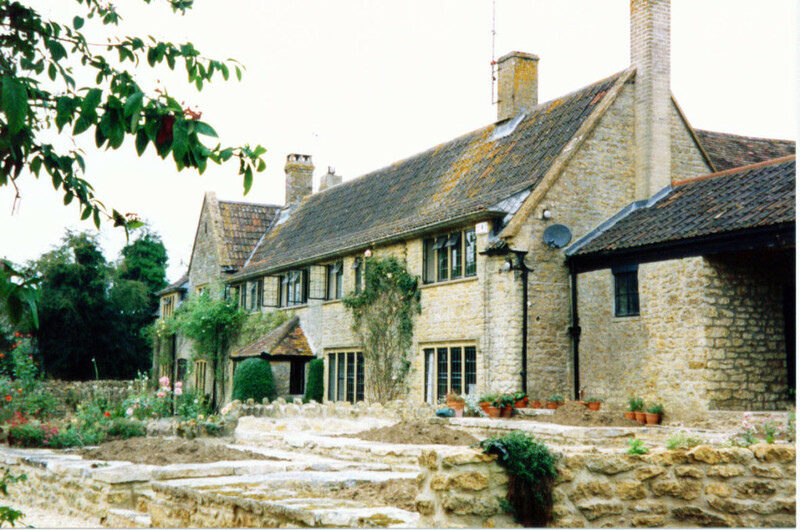 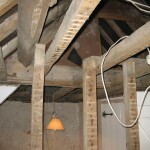 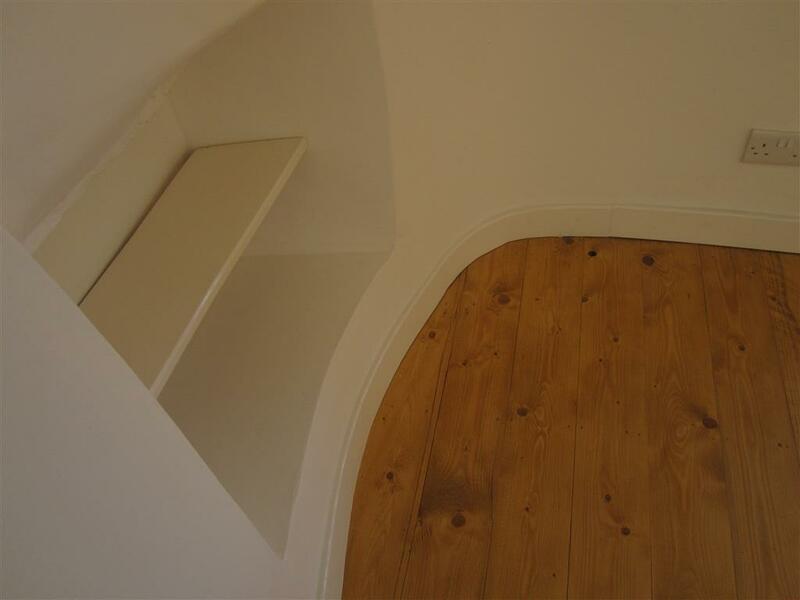 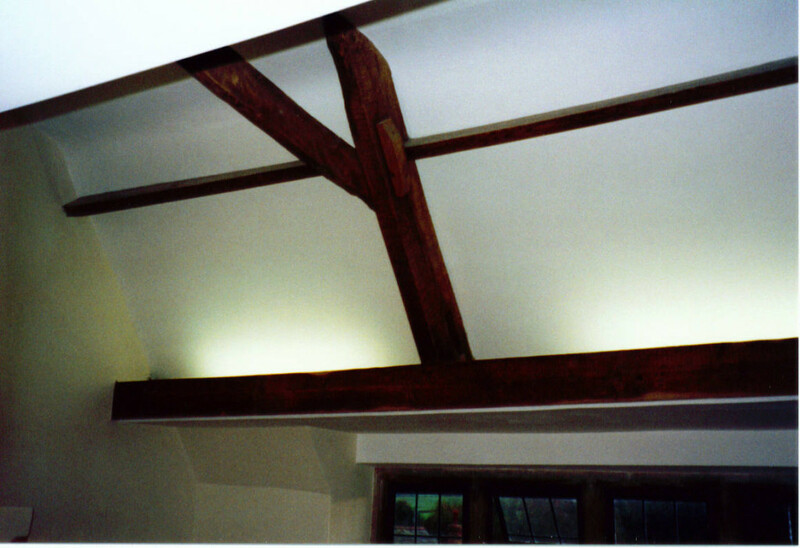 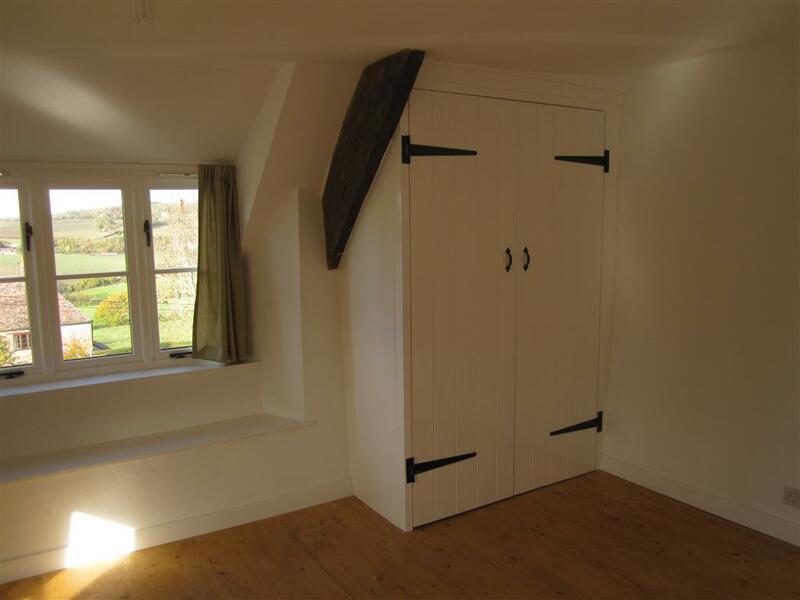 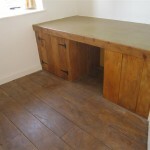 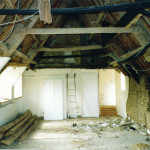 Wincanton Joinery has specialist knowledge of working with listed and historic buildings. 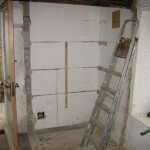 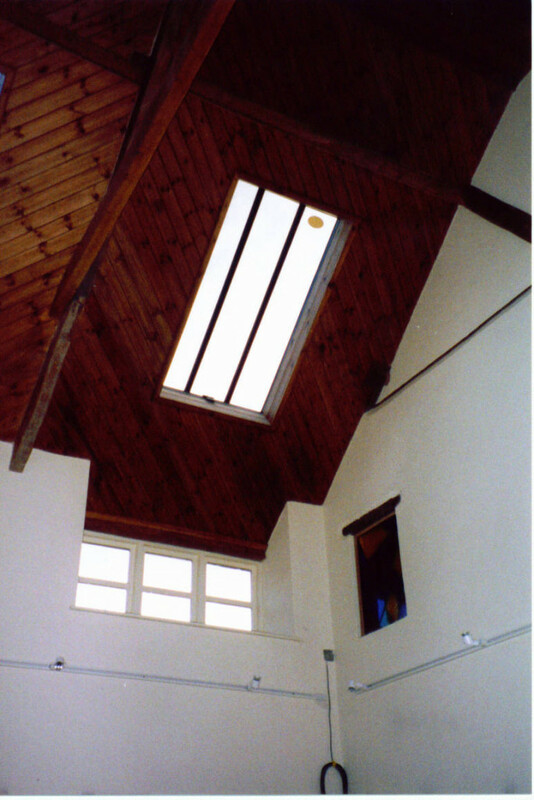 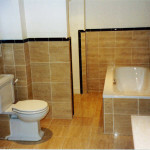 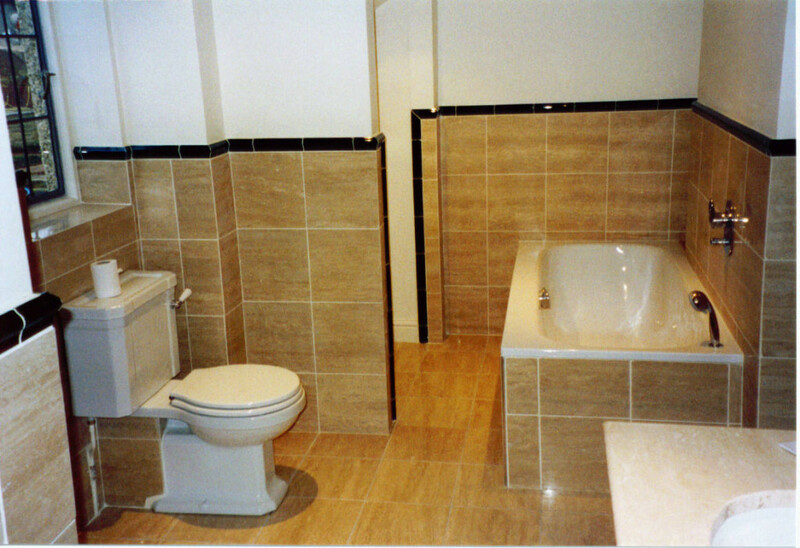 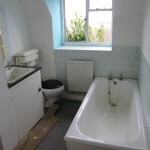 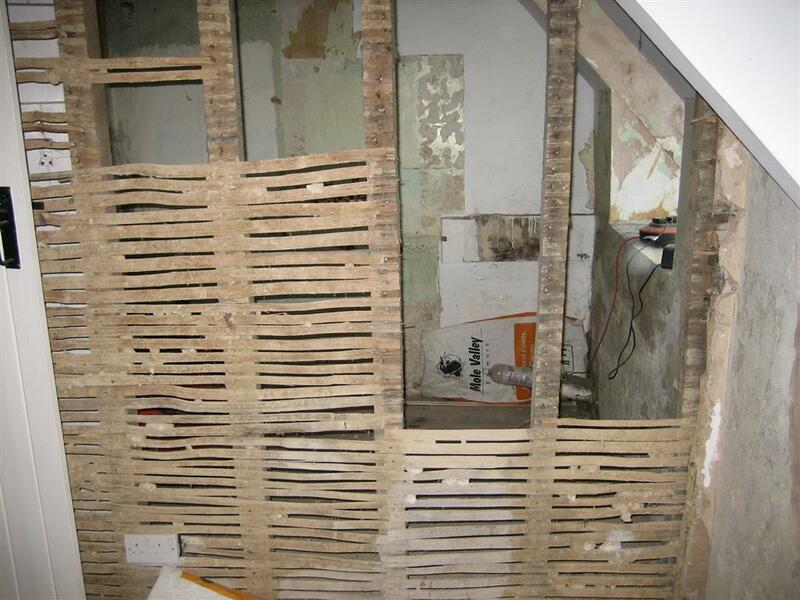 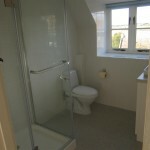 Here are a few examples of project management and property refurbishment jobs undertaken to date. 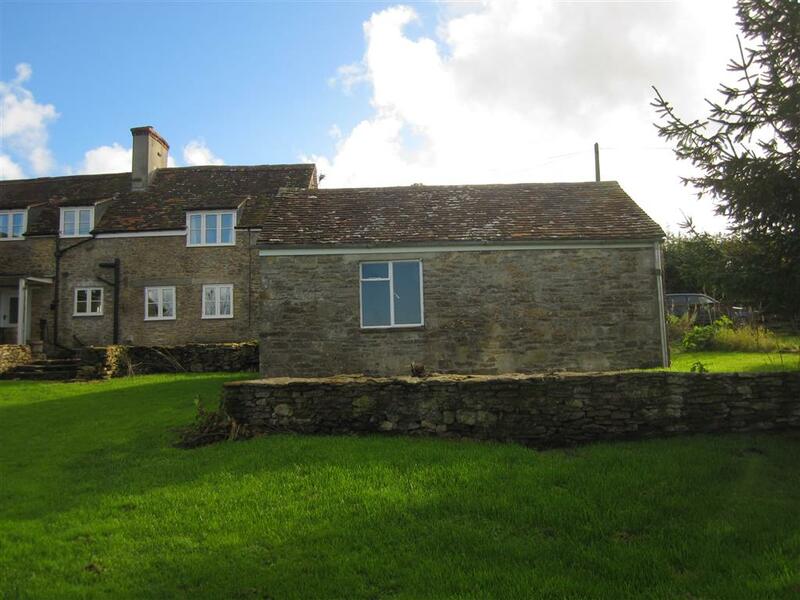 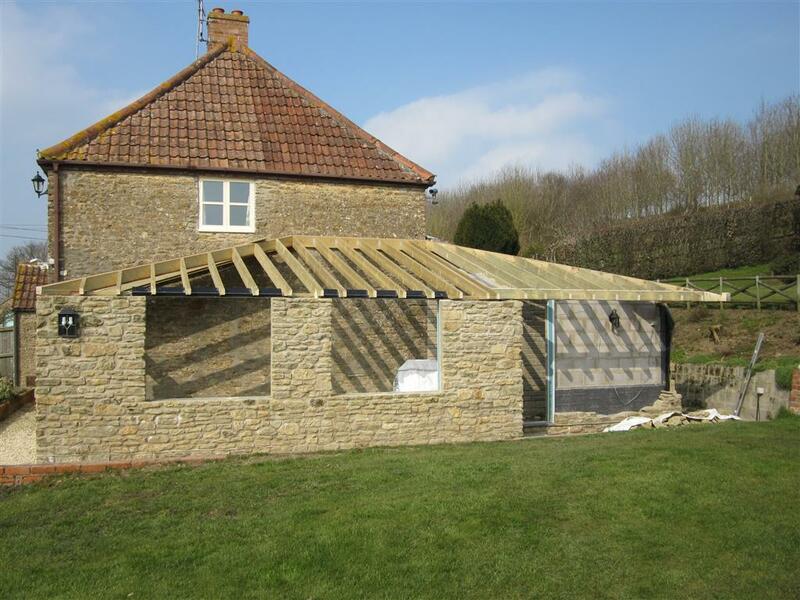 Wincanton Joinery acted as main contractor and project manager for this full property renovation of a traditional Somerset cider farm longhouse. 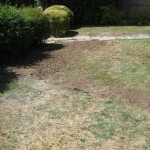 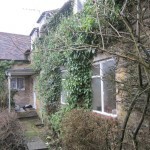 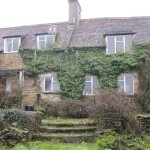 The front elevation remained largely untouched, while the rest of the property and gardens were gutted and renovated to the owners exacting specifications. 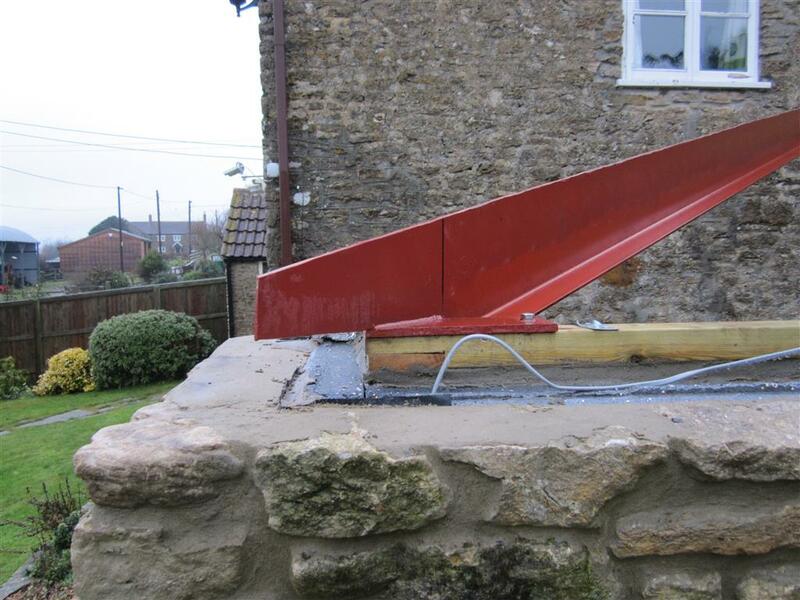 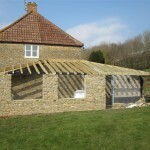 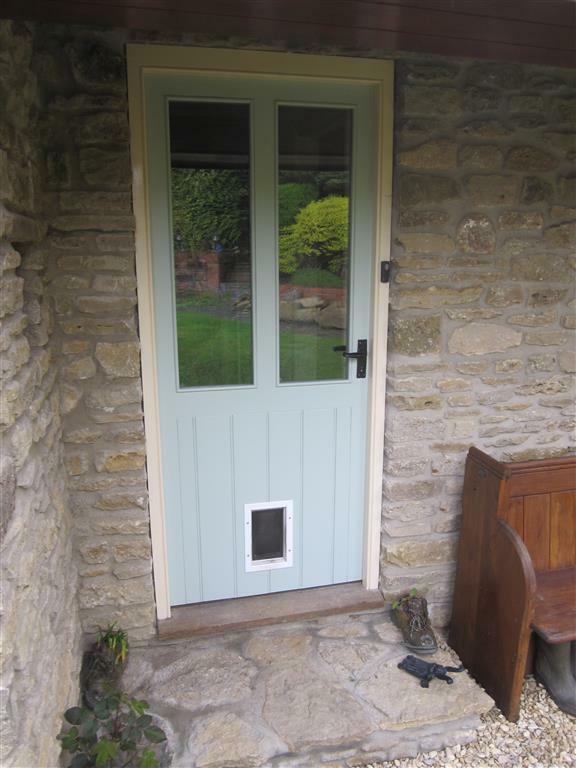 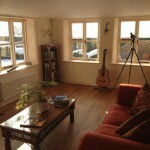 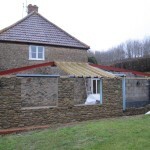 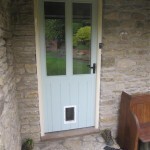 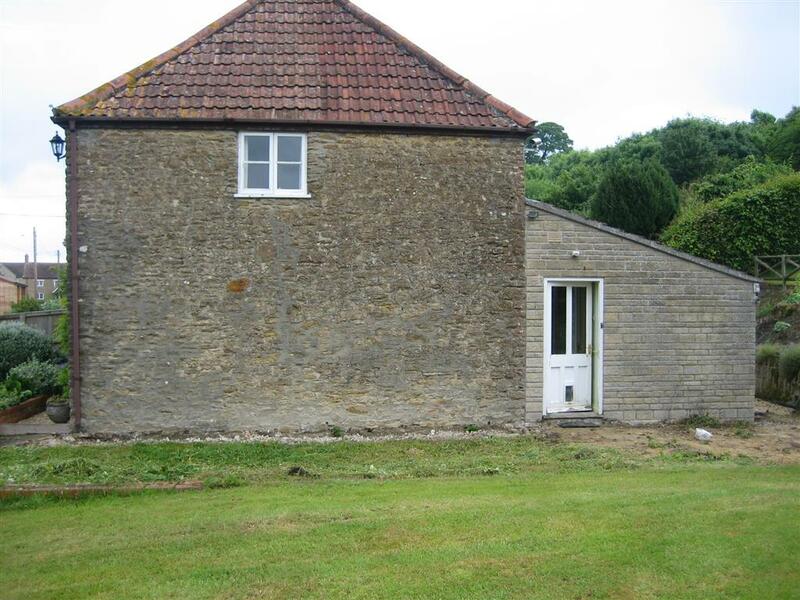 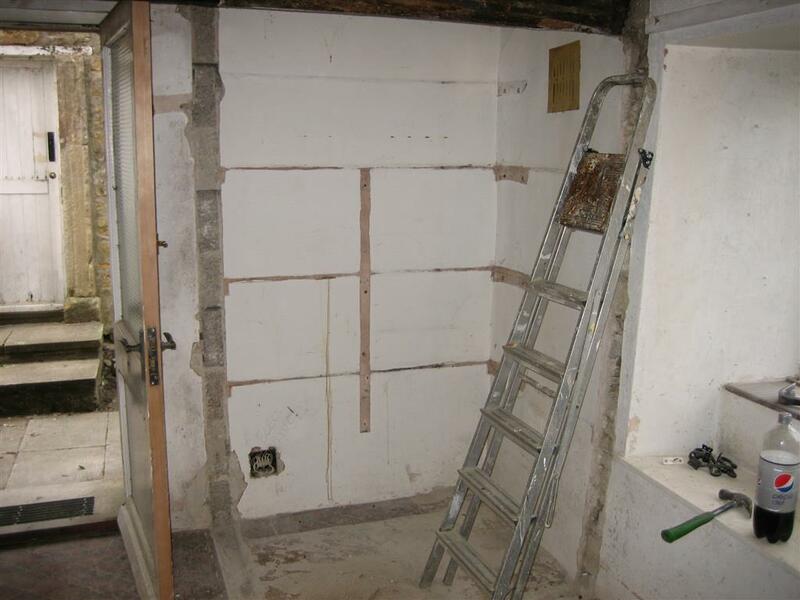 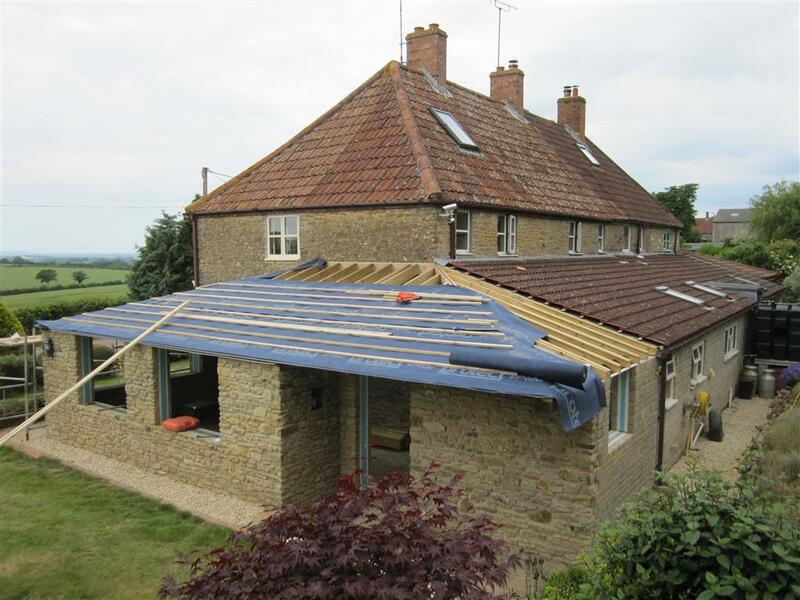 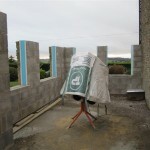 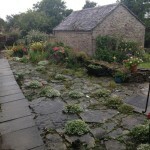 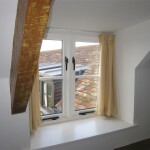 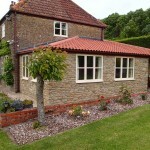 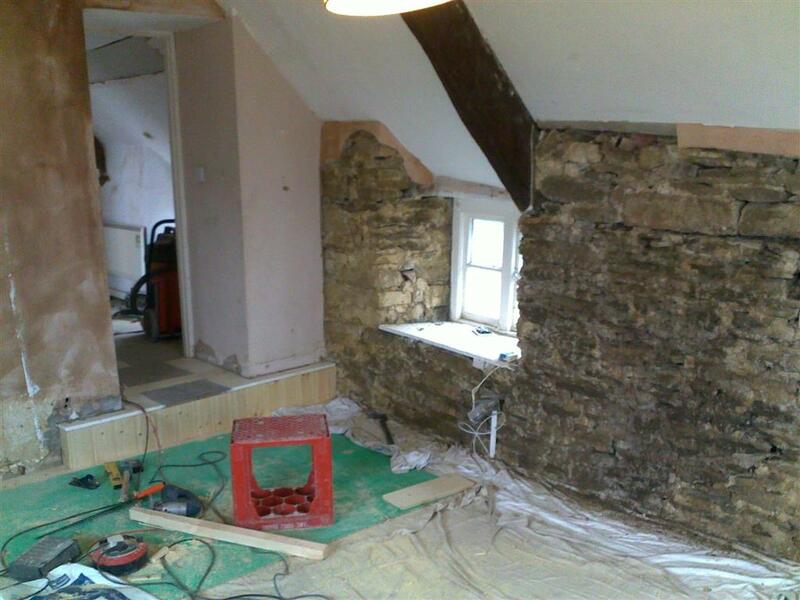 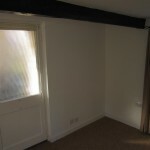 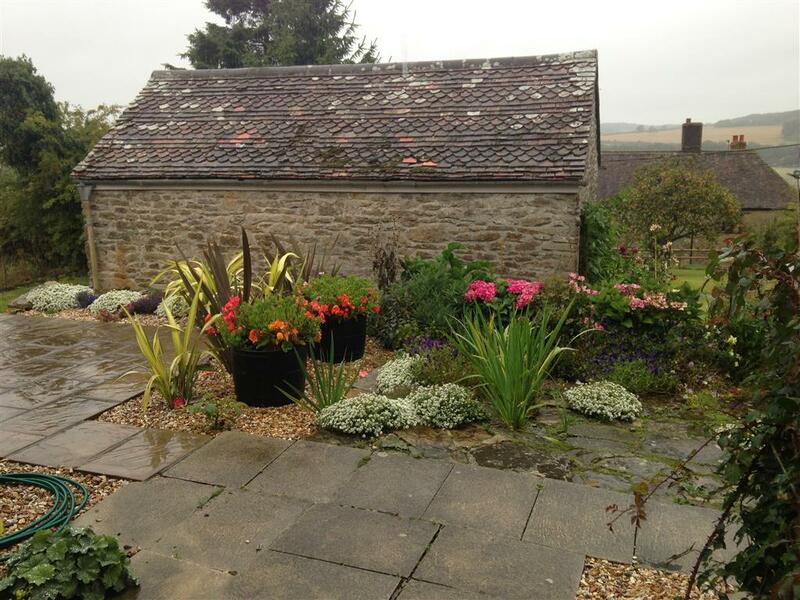 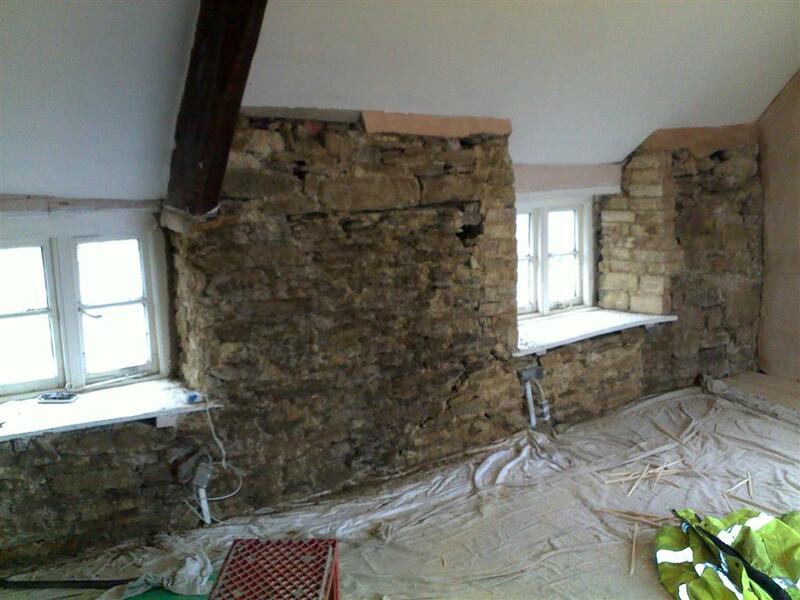 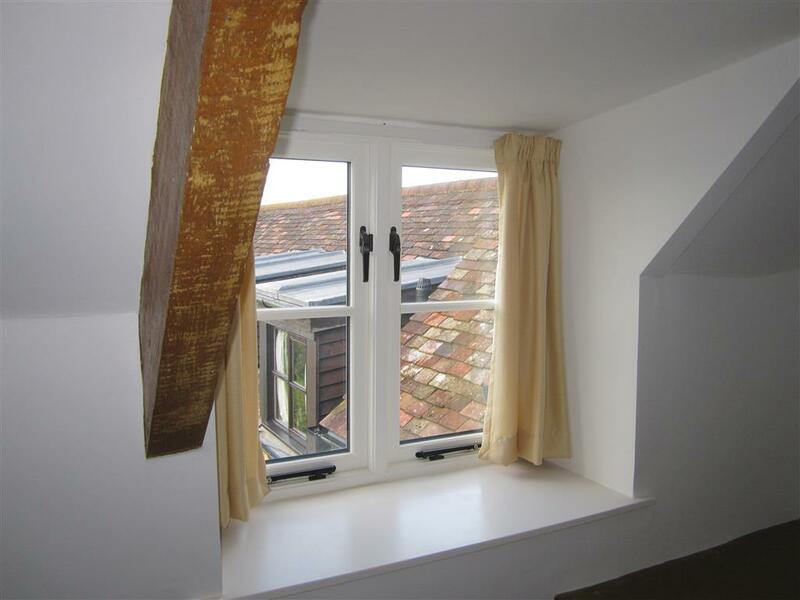 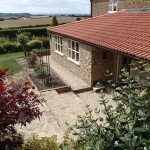 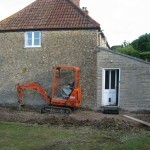 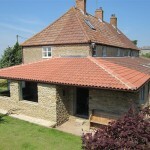 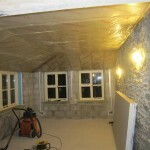 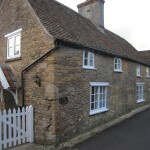 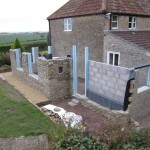 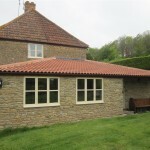 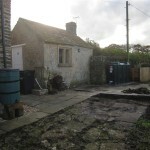 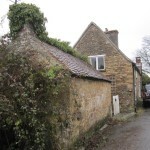 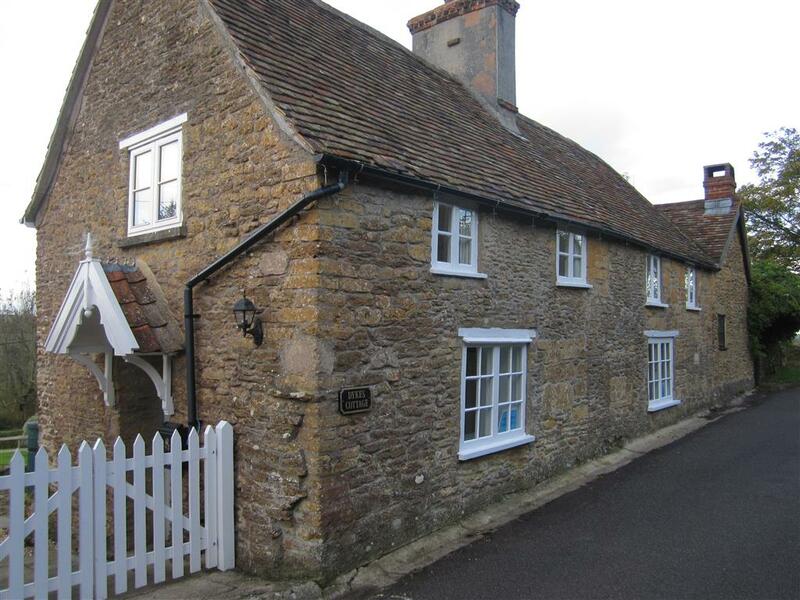 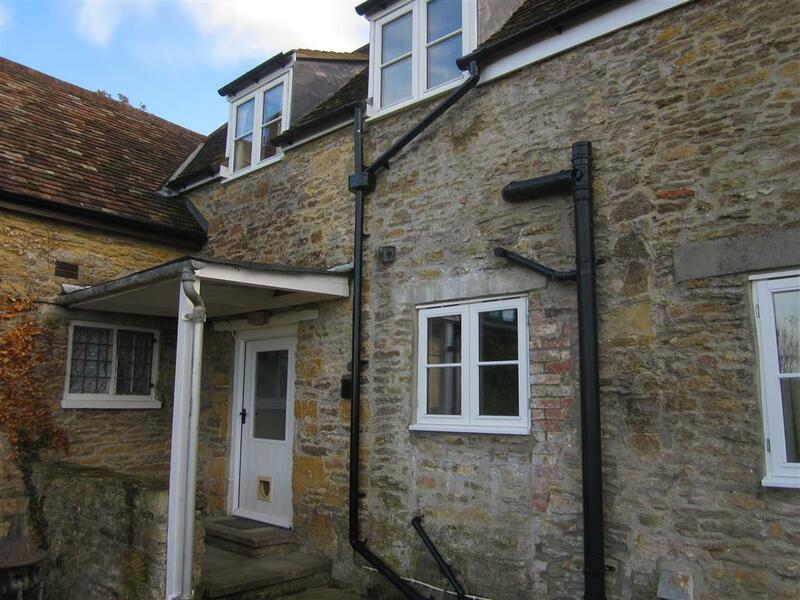 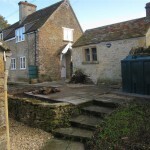 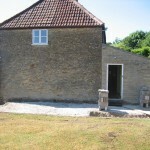 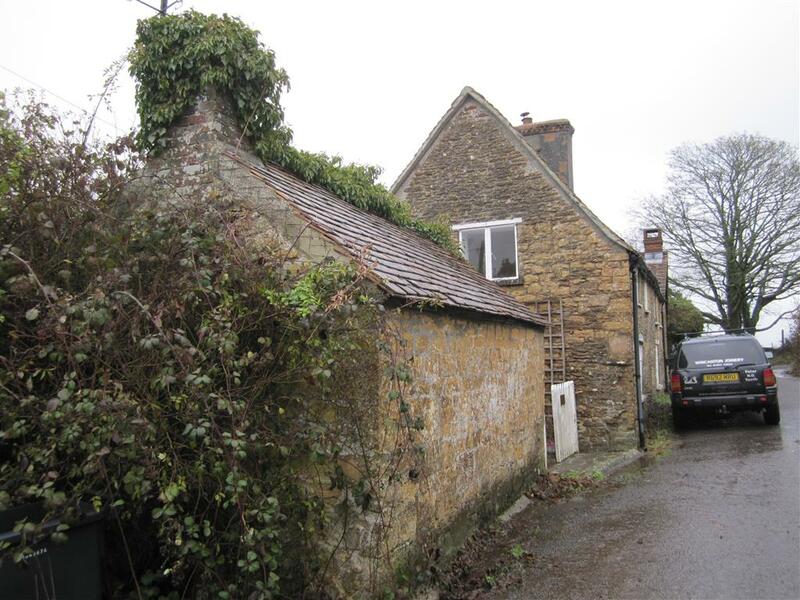 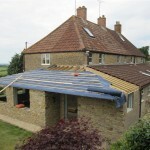 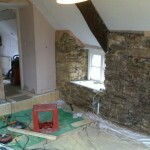 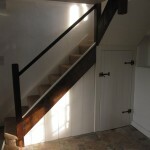 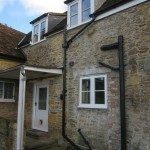 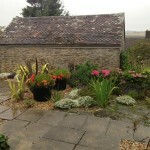 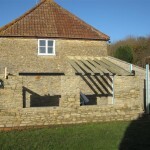 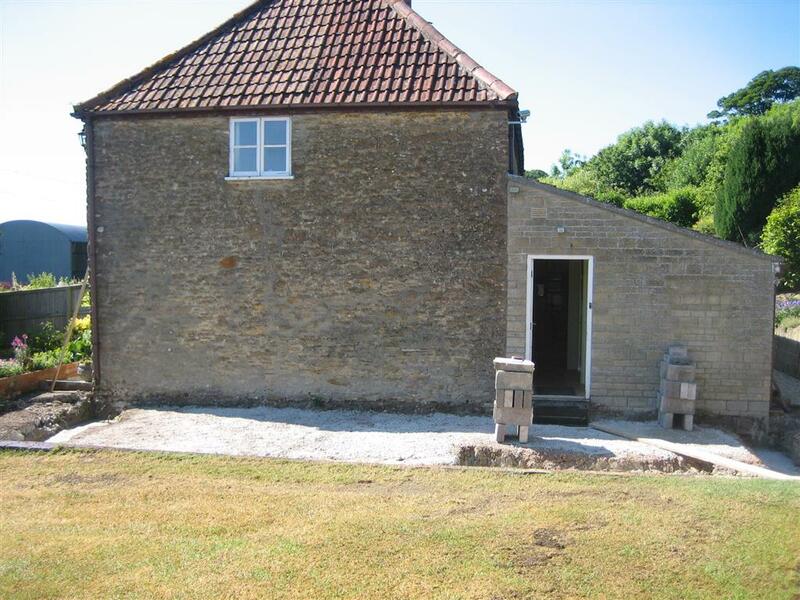 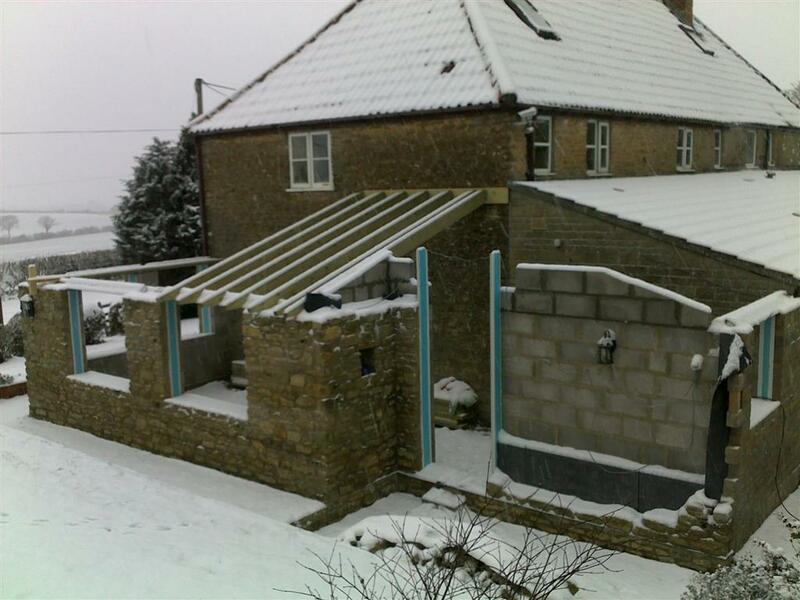 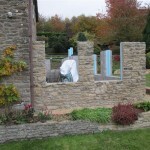 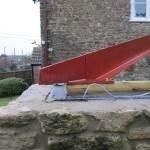 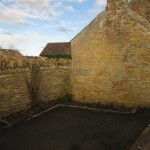 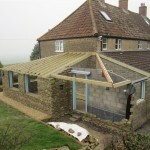 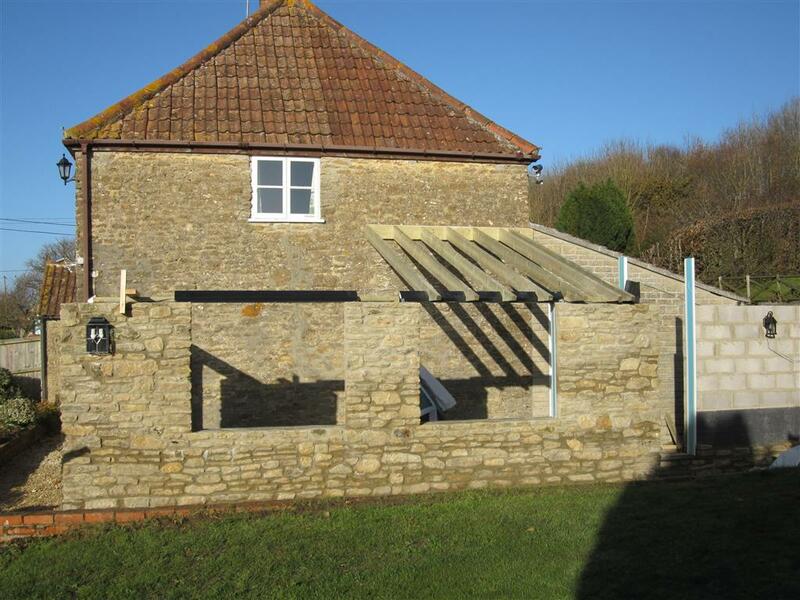 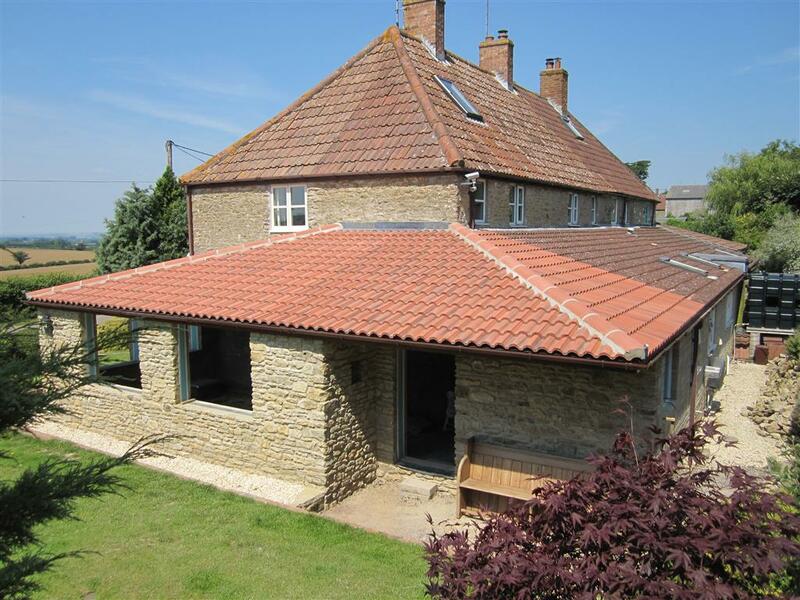 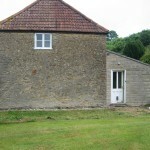 Some before, during and after photographs of work completed by Wincanton Joinery on a local Somerset cottage. 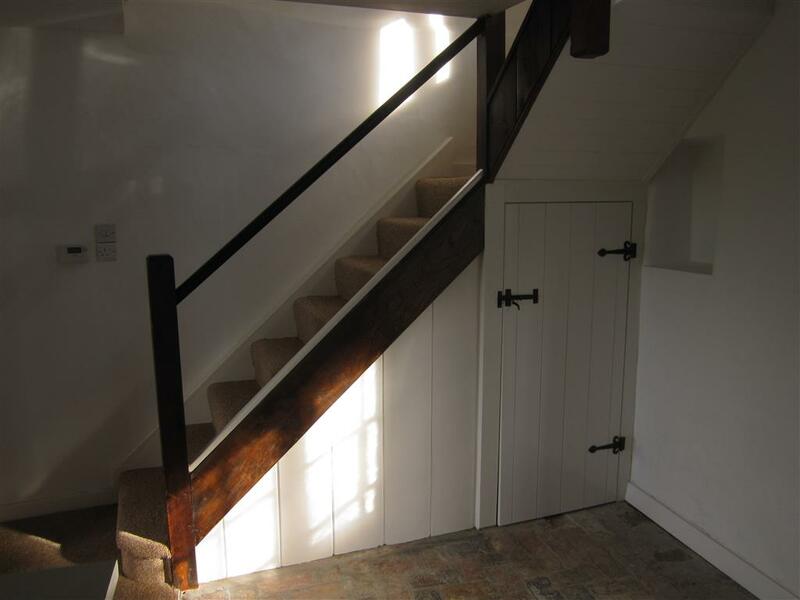 Great care was taken to maintain as much of the original fabric and as many of the period features of this traditional property as was possible given its poor state of repair. 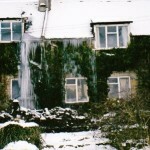 The cottage the winter before it was sold. 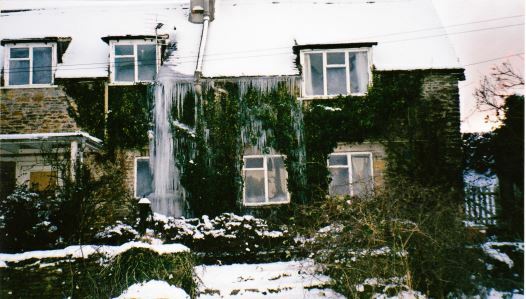 The huge icicle cascading from the roof was caused by a permanently running overflow! 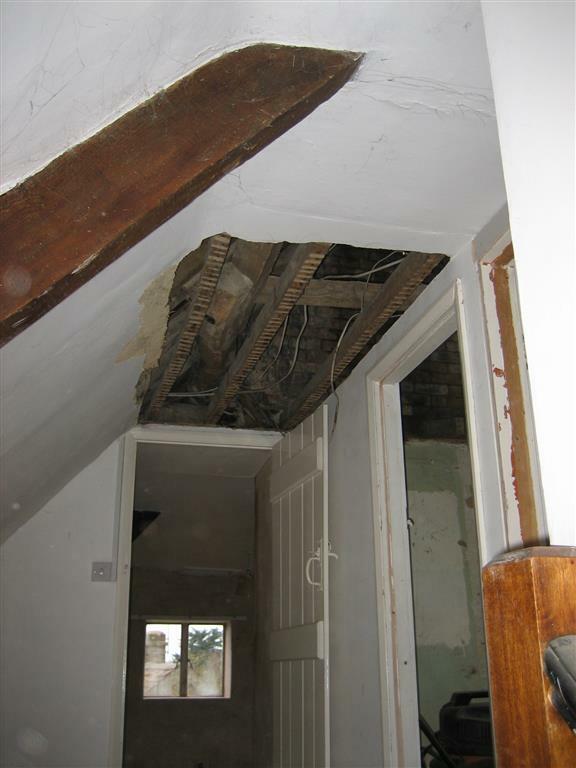 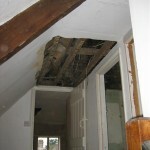 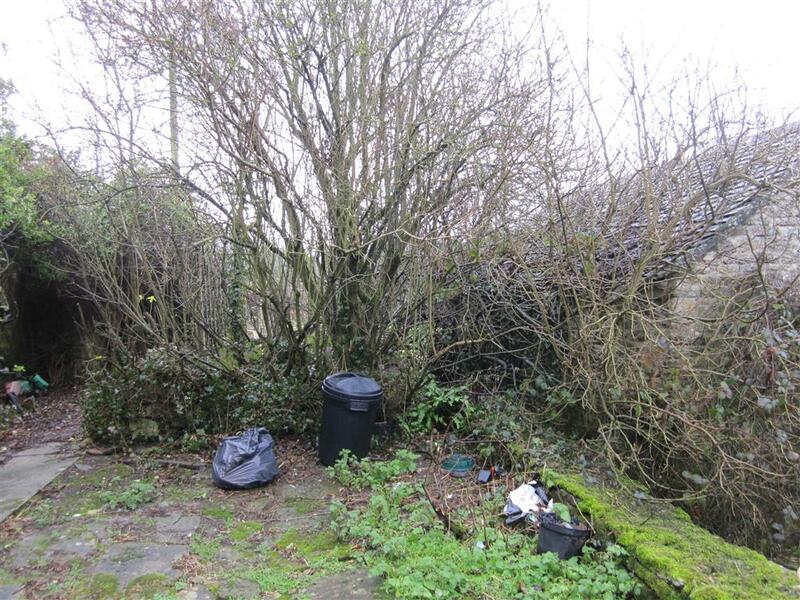 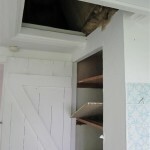 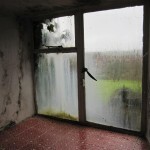 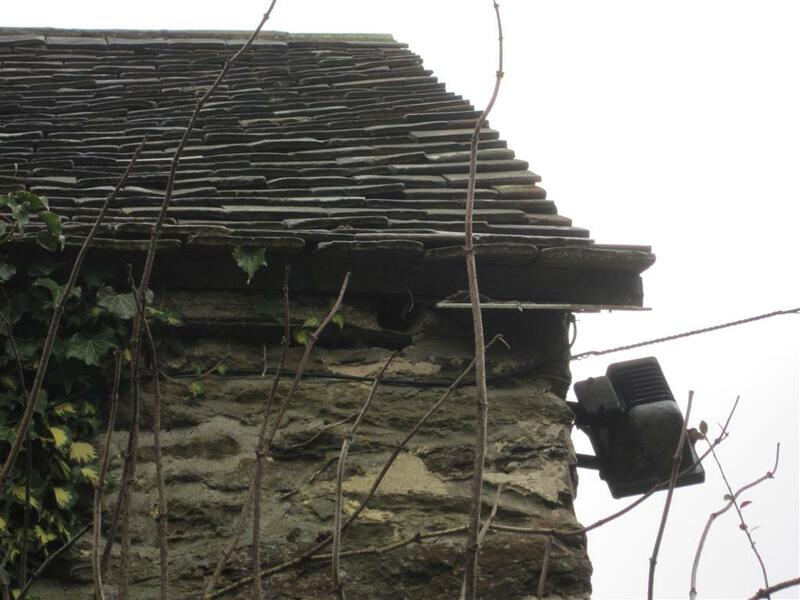 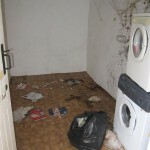 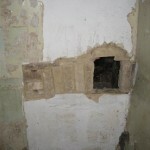 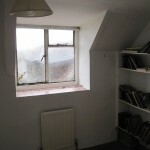 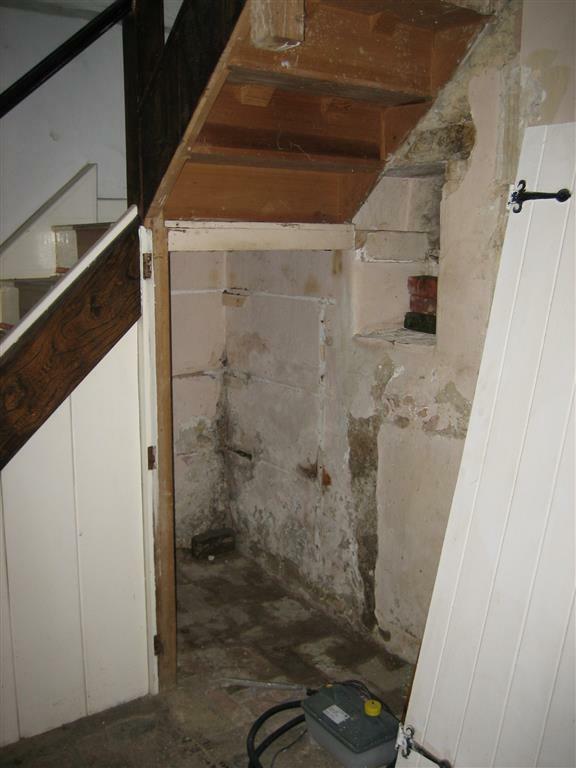 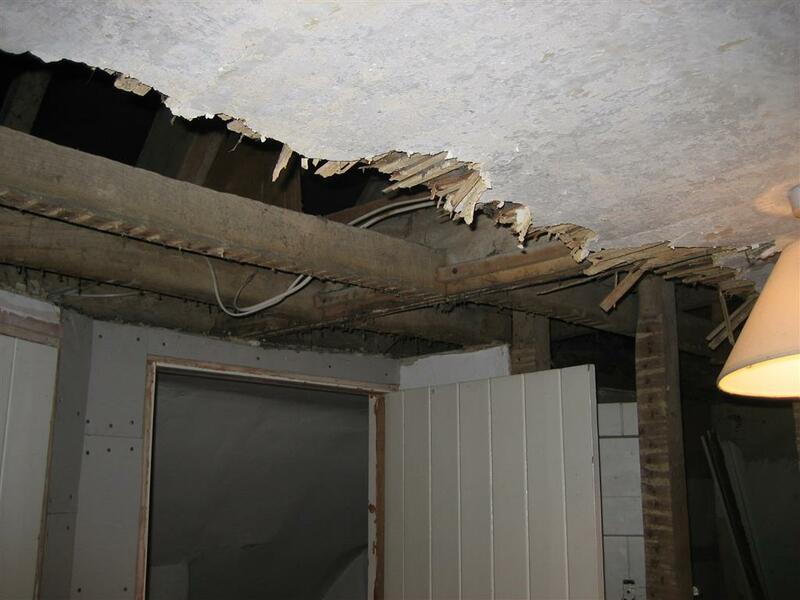 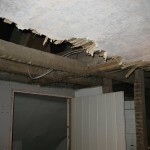 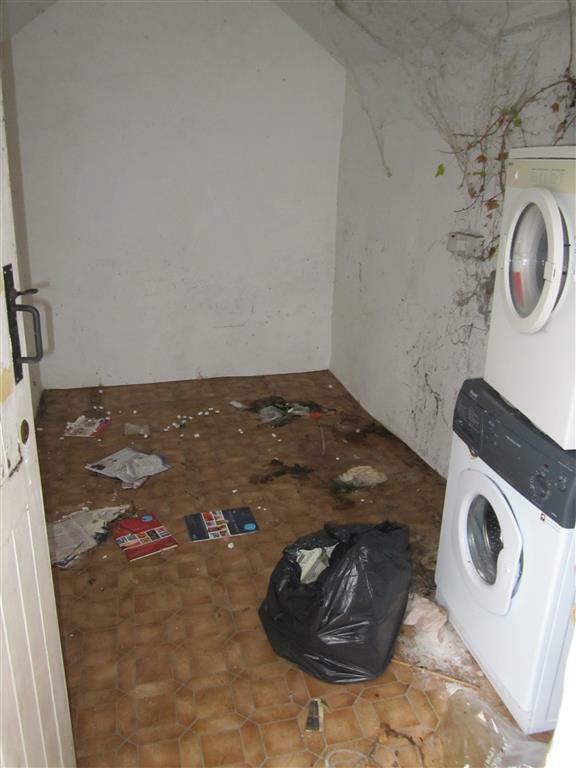 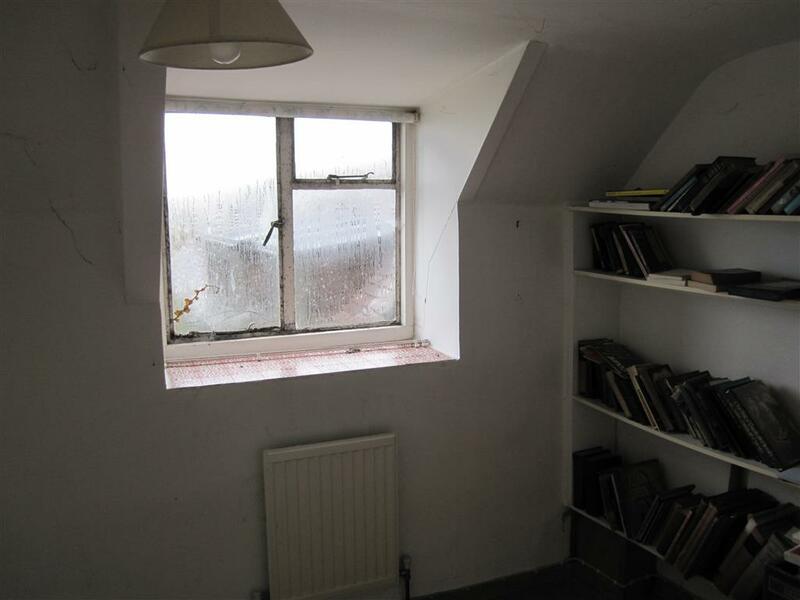 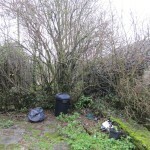 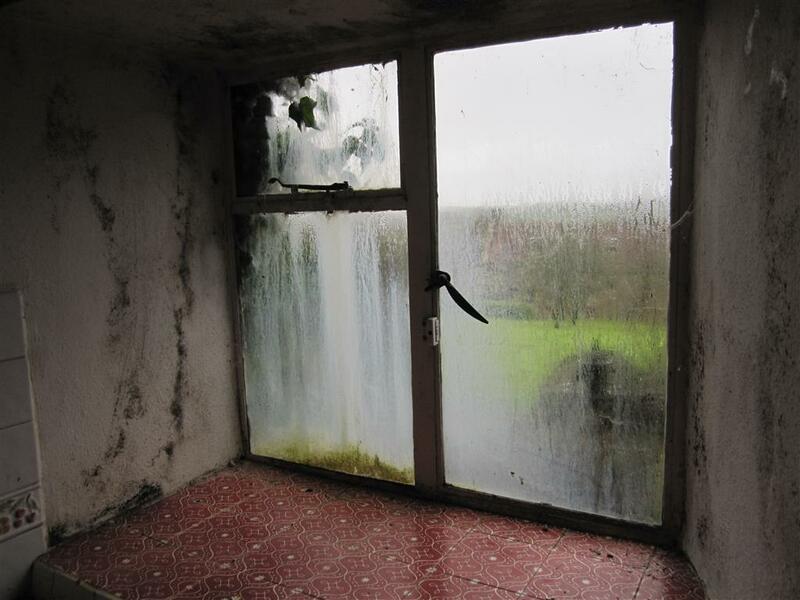 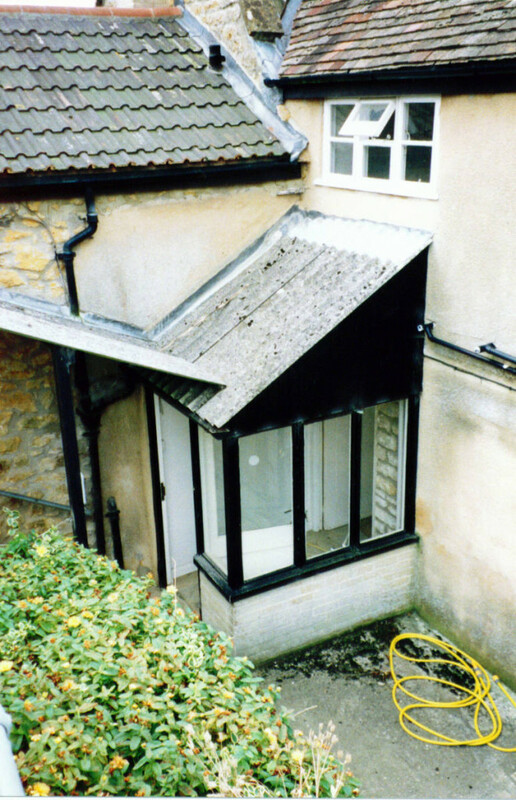 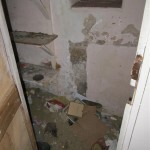 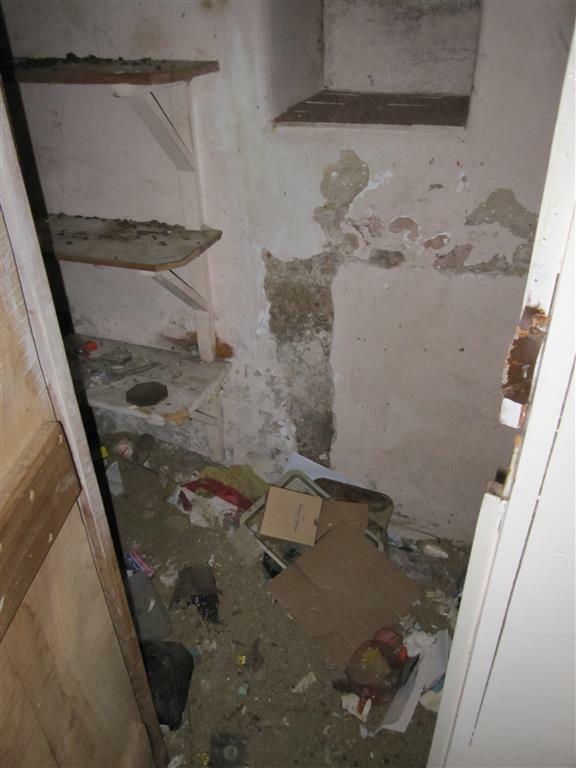 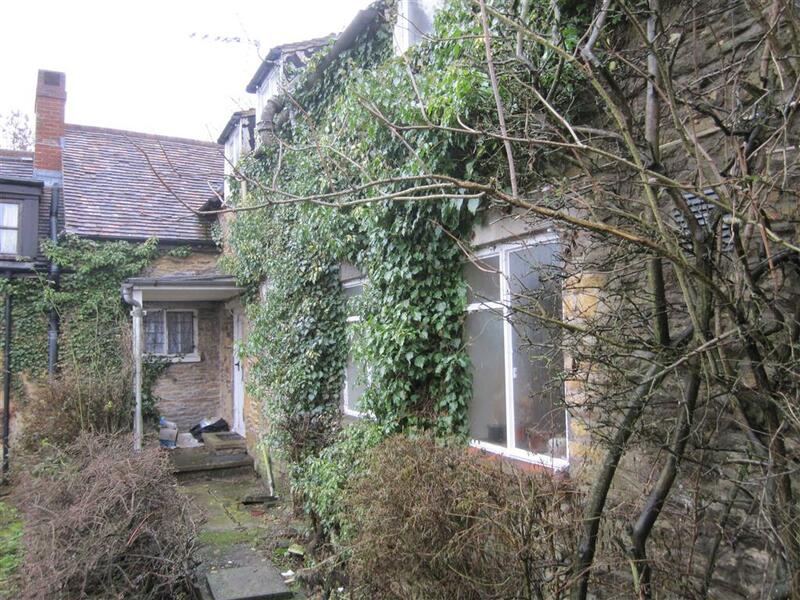 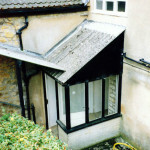 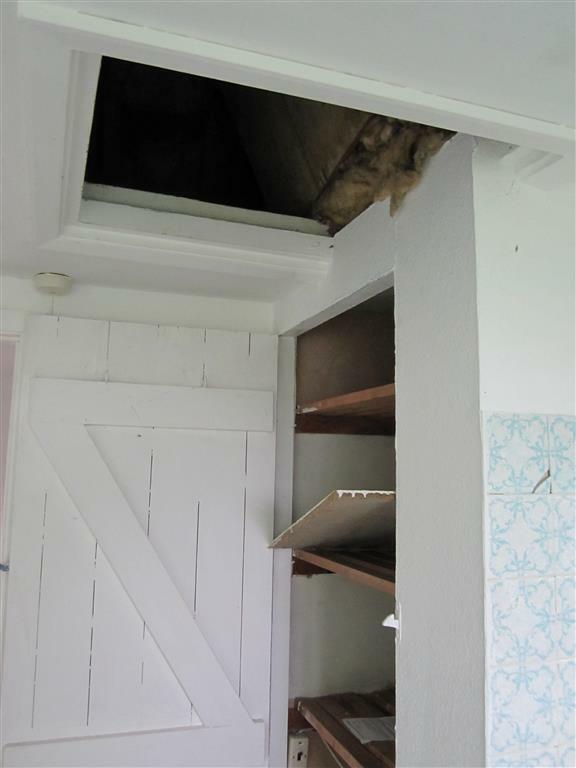 The original owner of the property shared her roof space with rats that used this entrance! 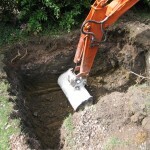 We uncovered this ancient drainage duct during excavations, that, the story goes, used to run from an old castle on the hill behind the cottage. 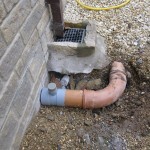 Someone had later unceremoniously run a modern plastic pipe along it! 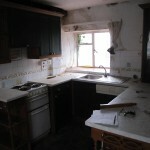 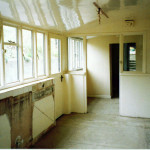 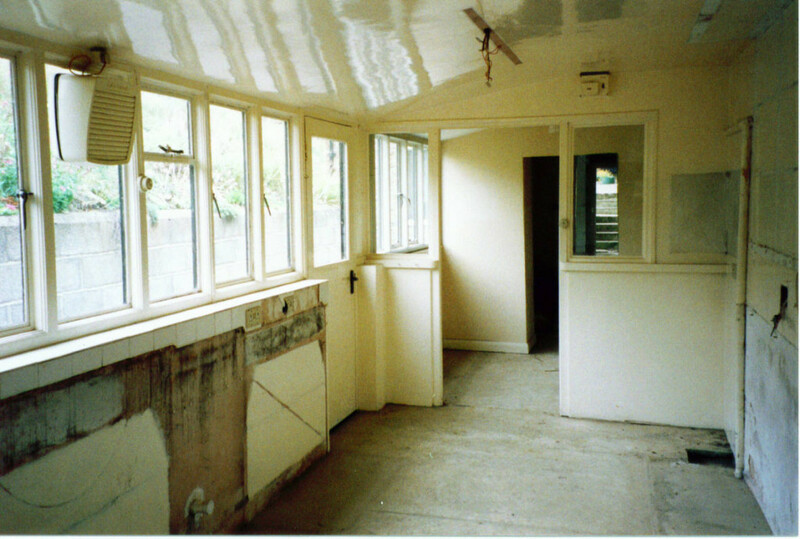 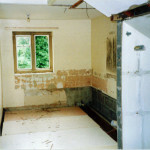 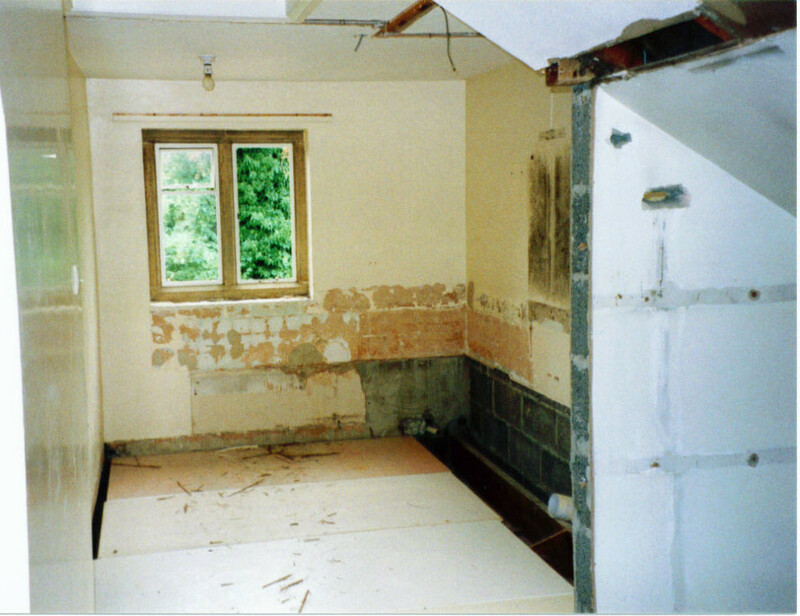 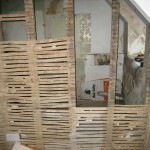 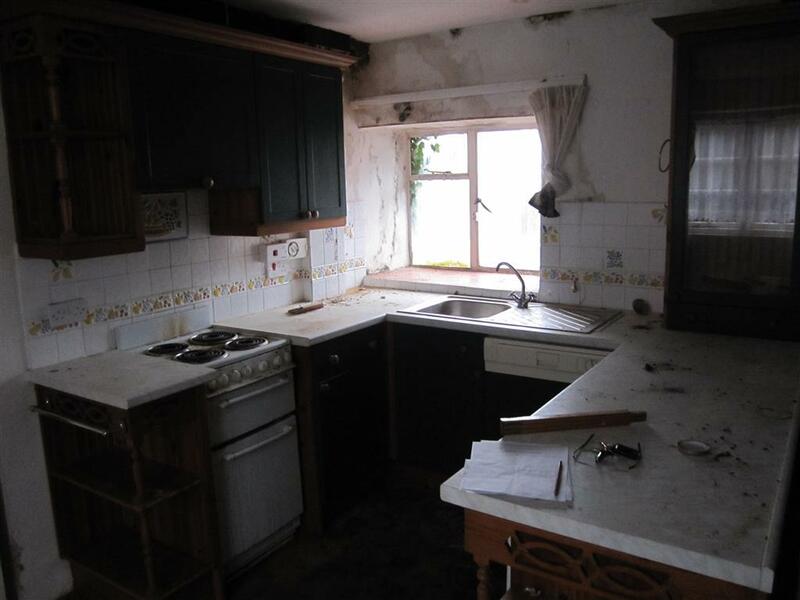 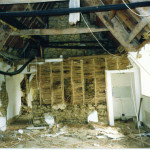 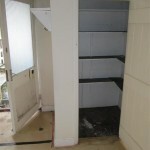 This was the kitchen after it was cleared! 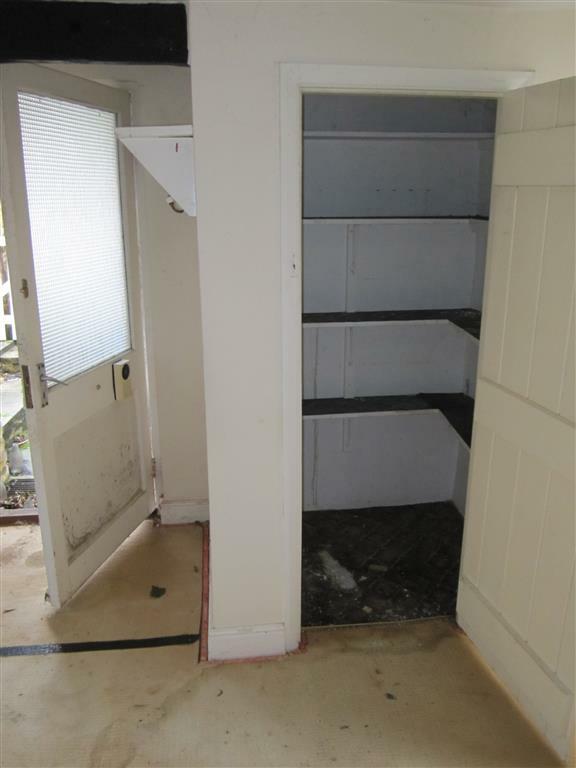 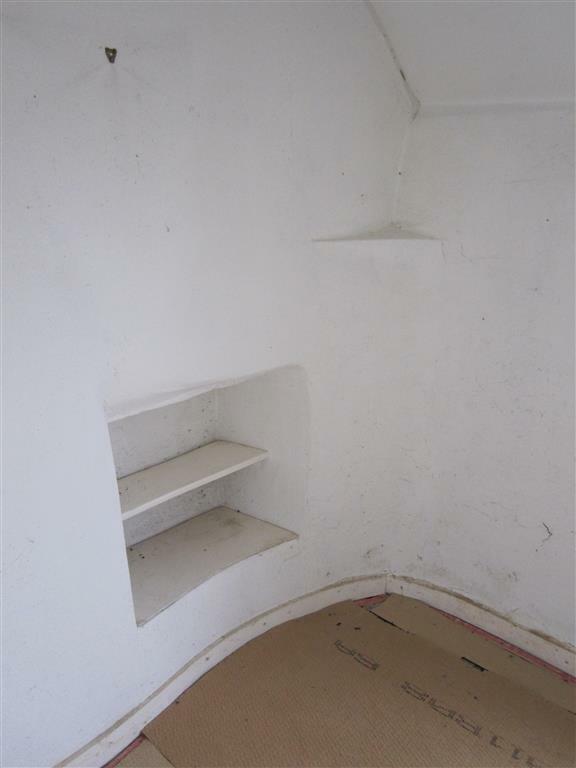 This was the rodent infested cupboard under the stairs. 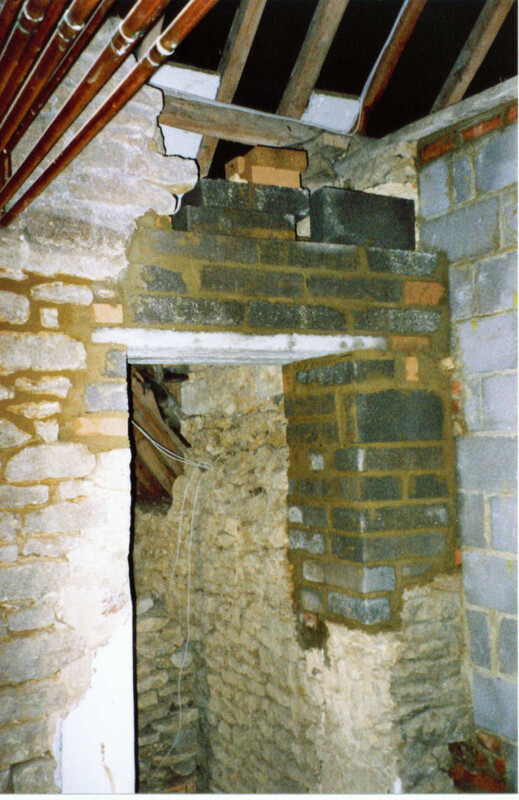 The pile of rubble on the floor is the spoil of their 'mining' through the walls and under the road outside! 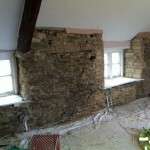 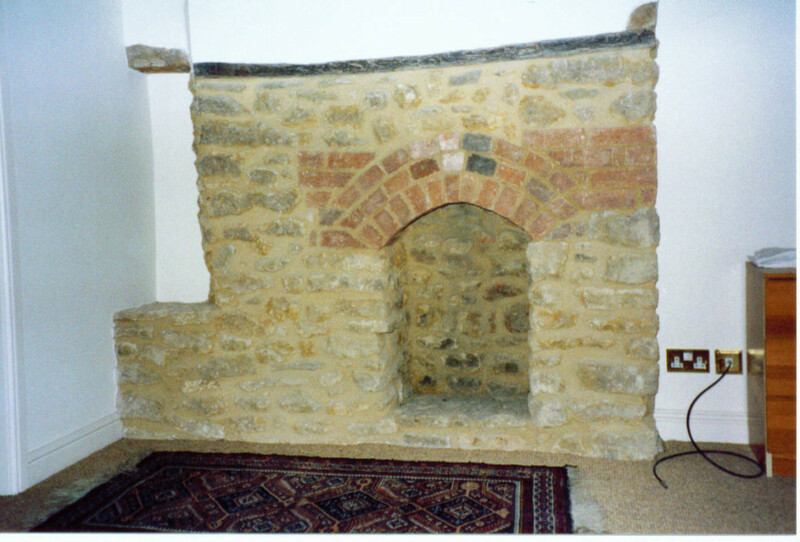 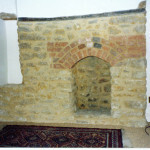 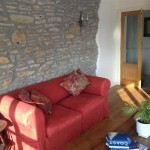 This stone built larder was in the corner of the lounge! 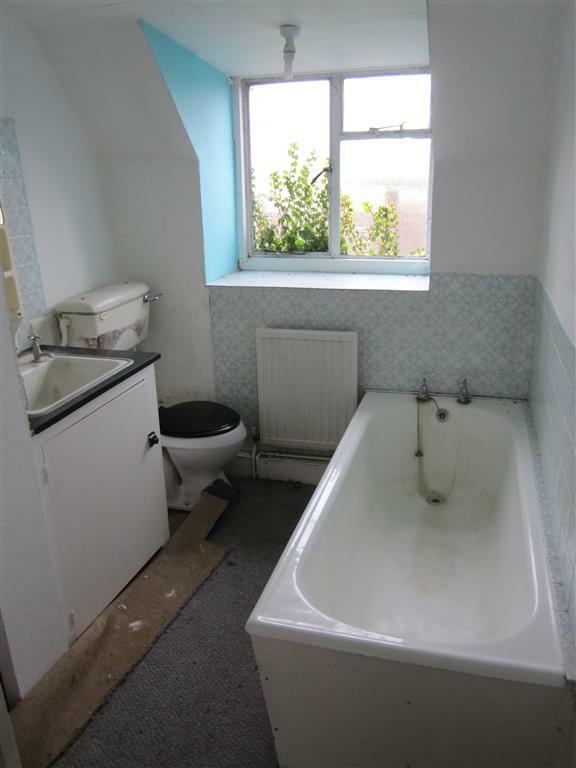 The bathroom was a disaster! 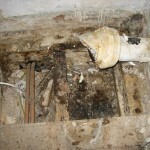 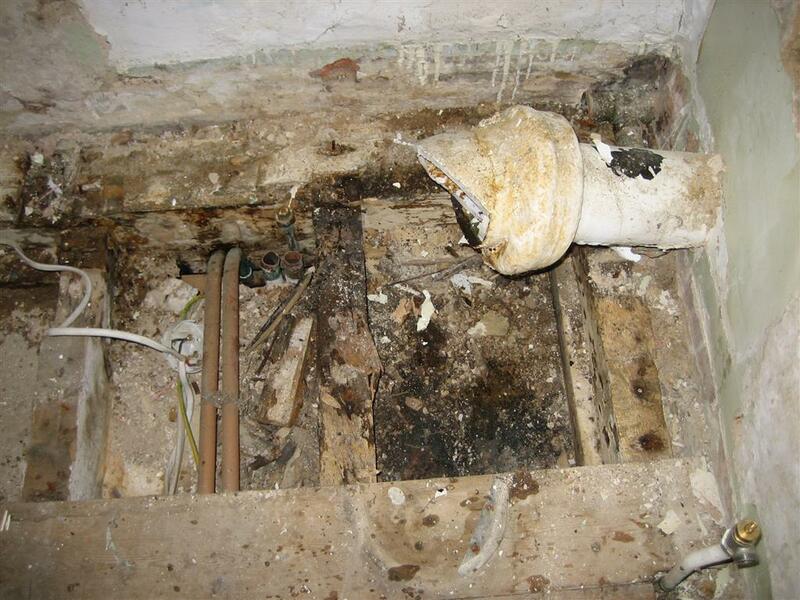 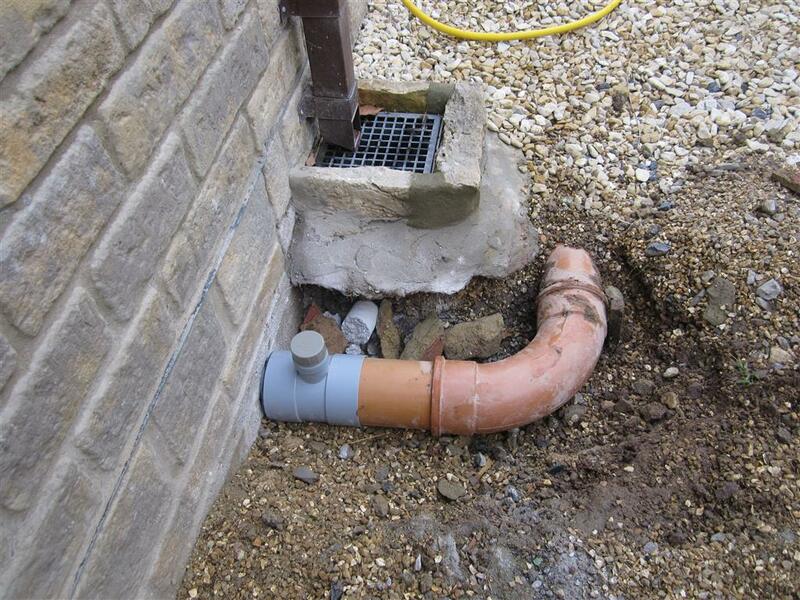 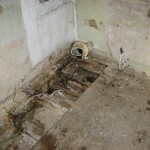 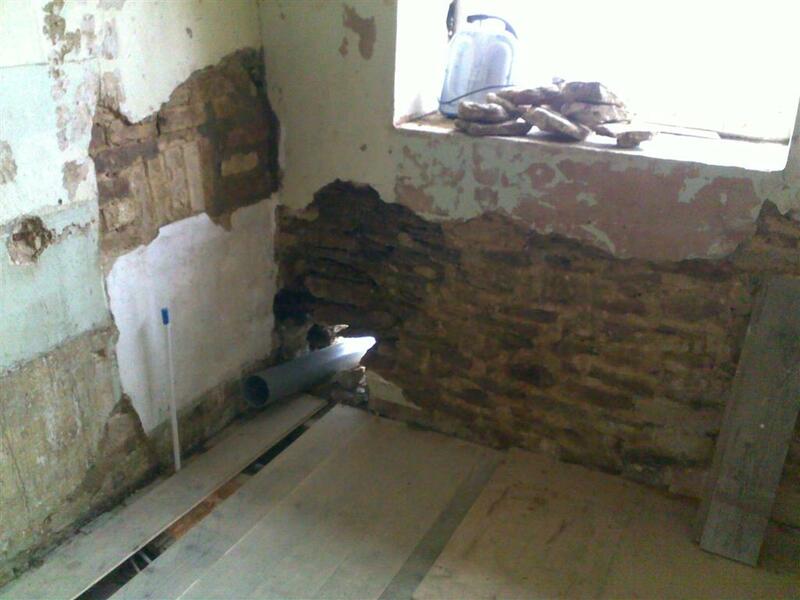 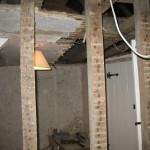 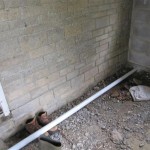 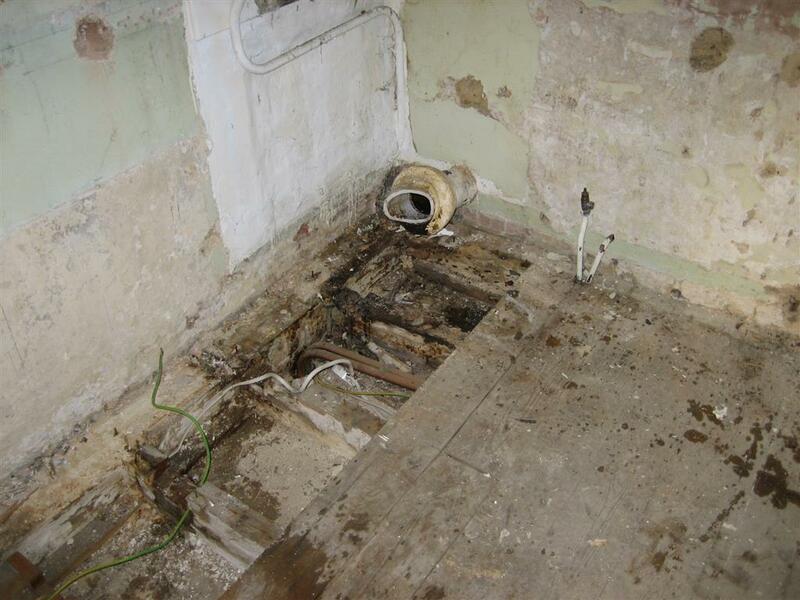 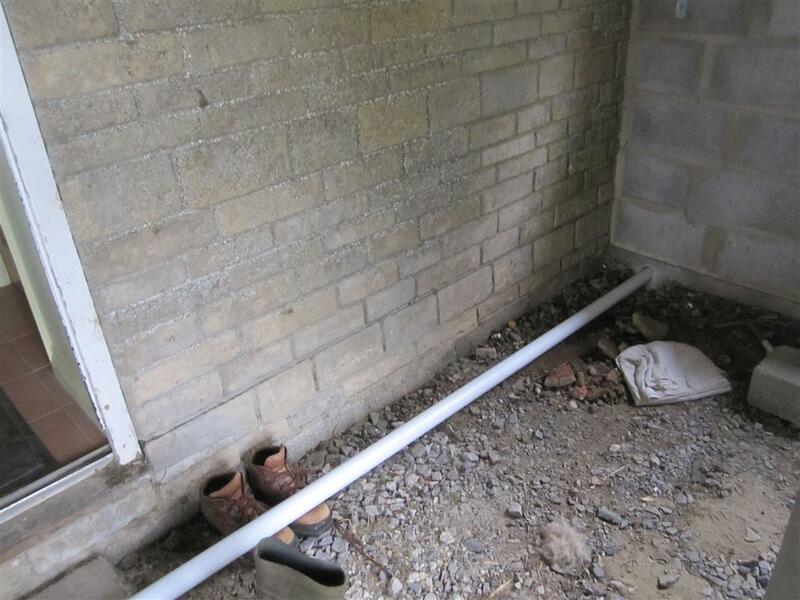 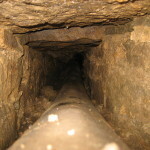 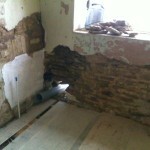 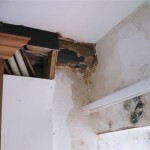 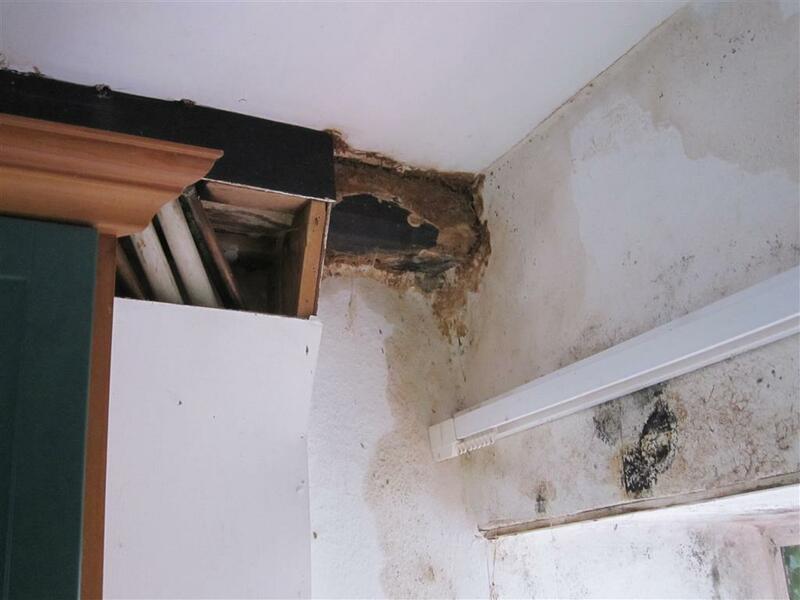 The old soil pipe had been leaking for years! 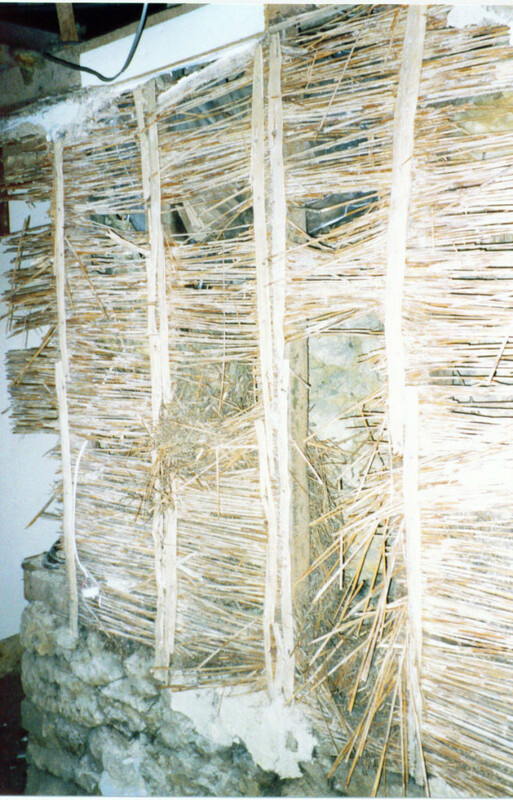 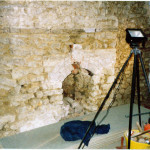 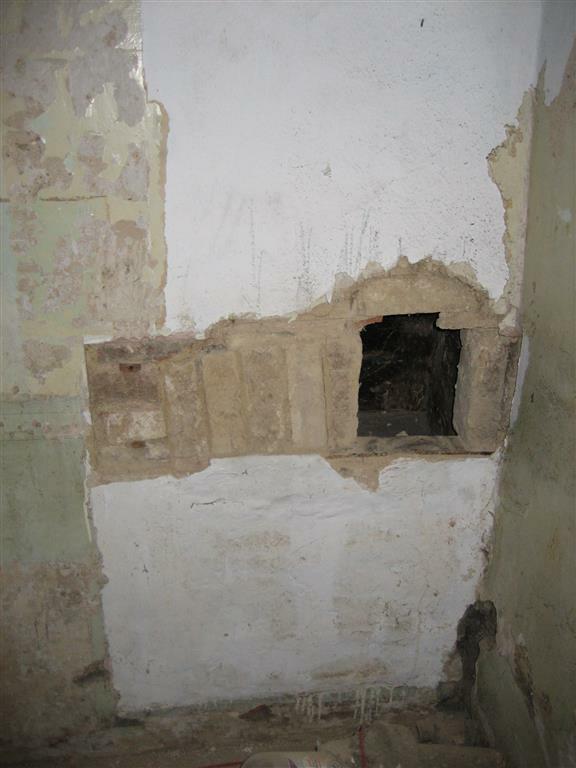 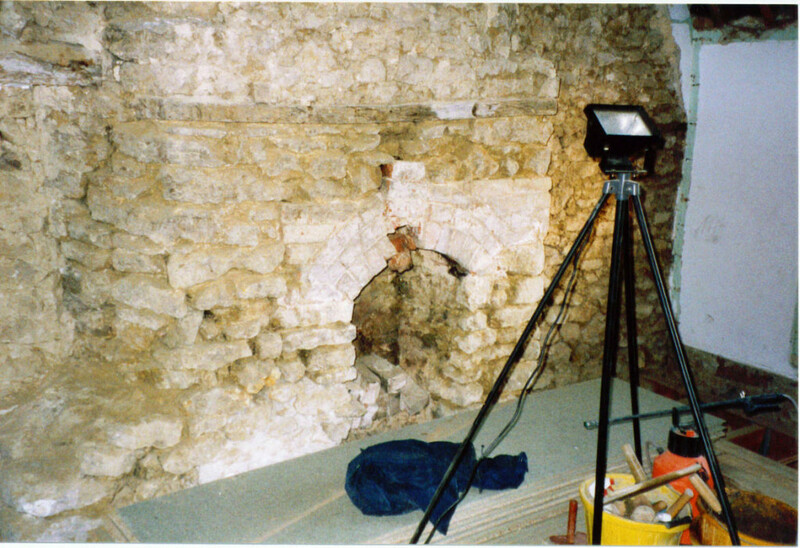 This ancient smoking oven was discovered behind the old toilet in the bathroom upstairs! 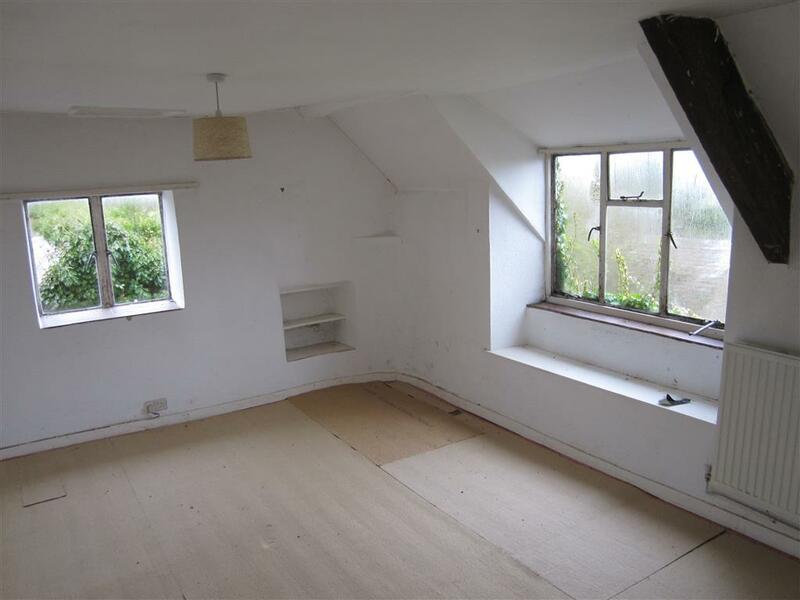 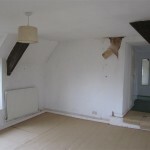 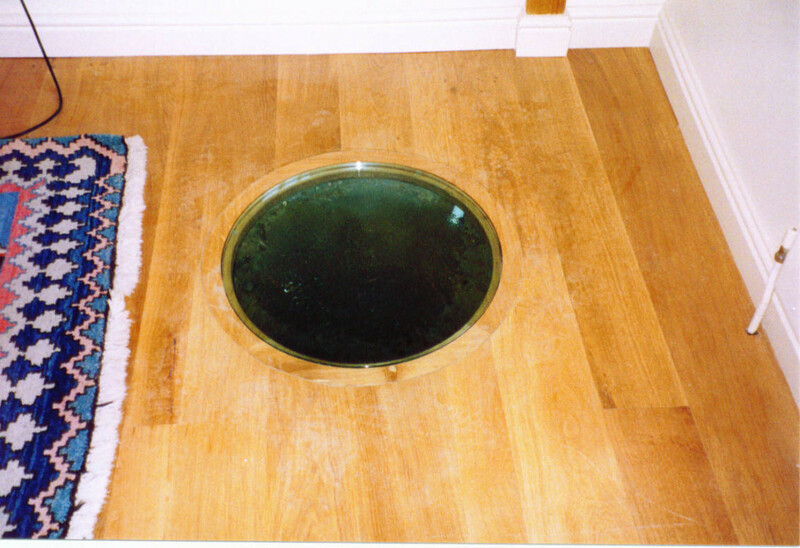 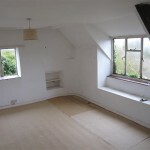 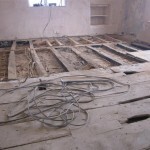 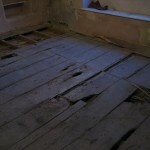 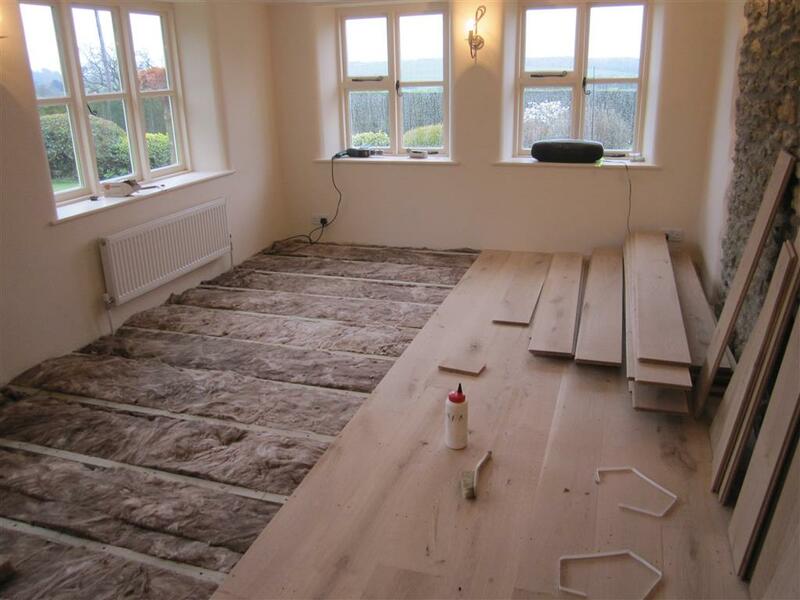 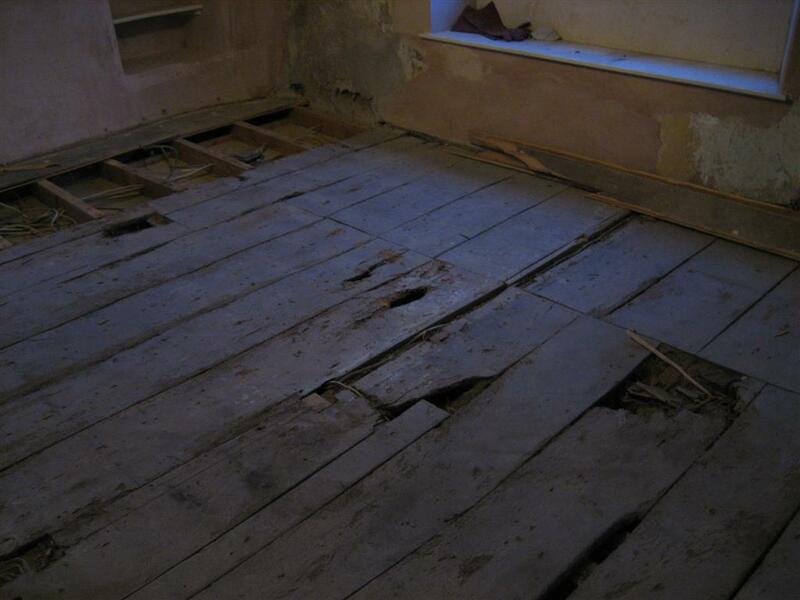 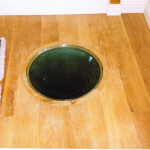 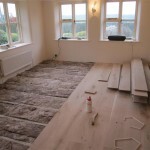 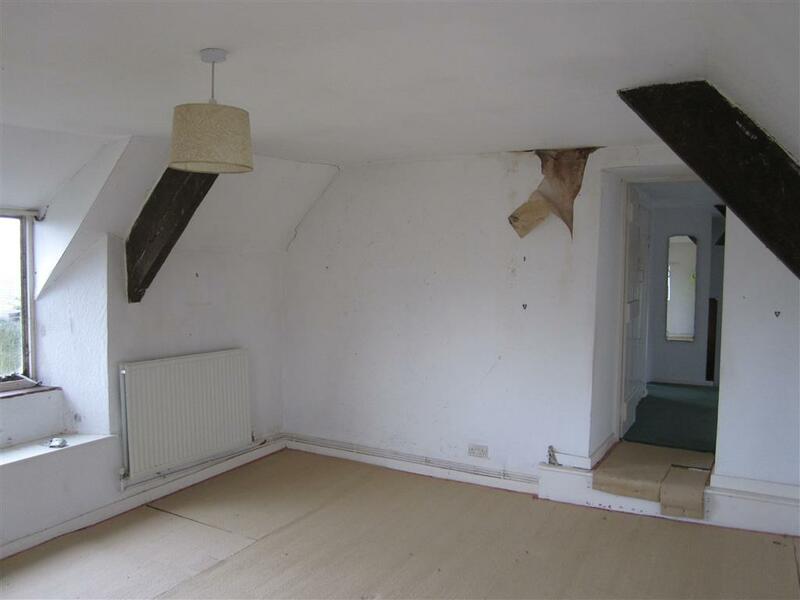 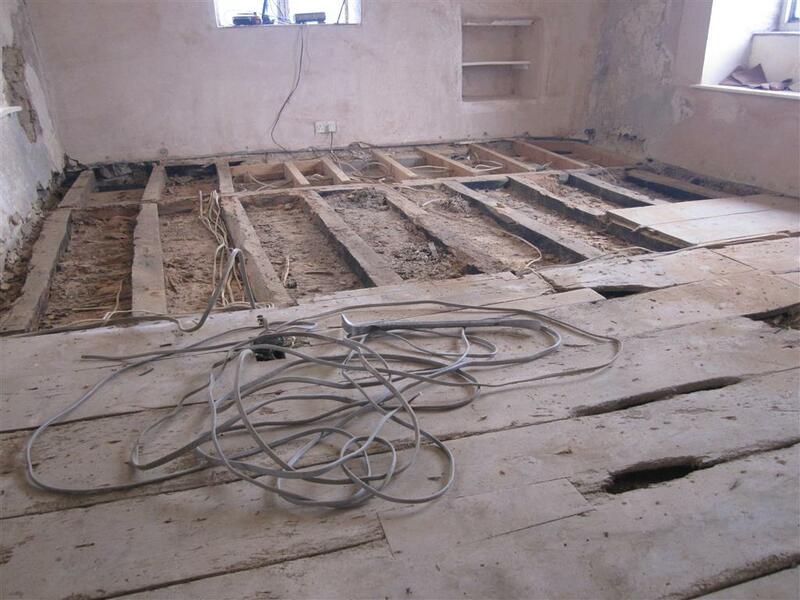 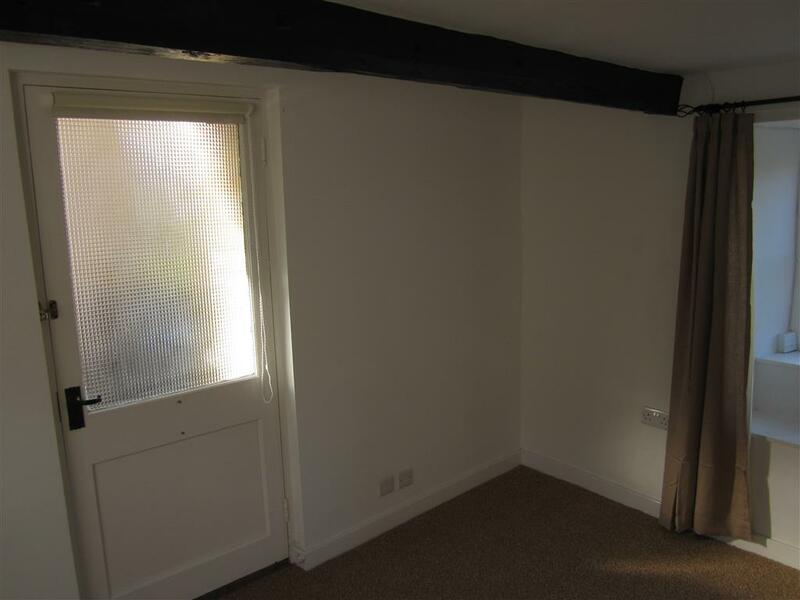 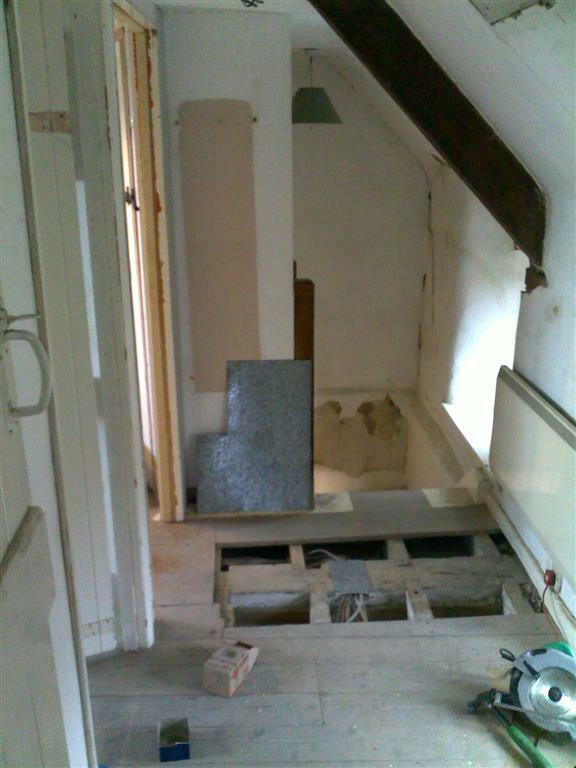 With the carpets lifted in the main bedroom, the floor appeared to be sound! 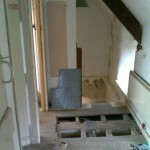 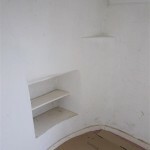 The cupboard under the stairs cleared out and with work in progress. 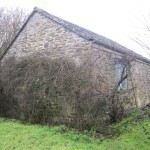 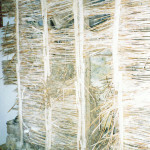 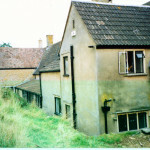 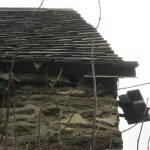 The small window like aperature on the right was the letter box for the house! 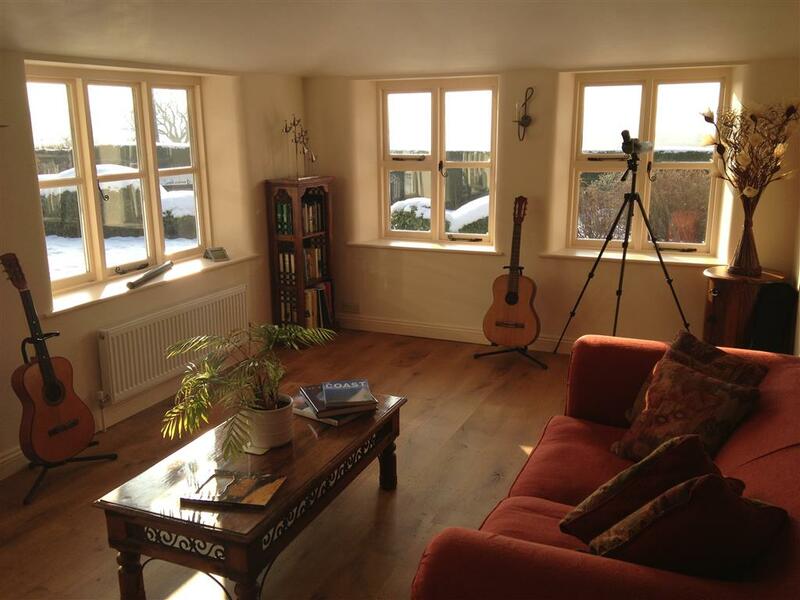 This bright and sunny garden room was added to form a single storey wrap around extension providing a music room and seperate walk in shower for the owners. 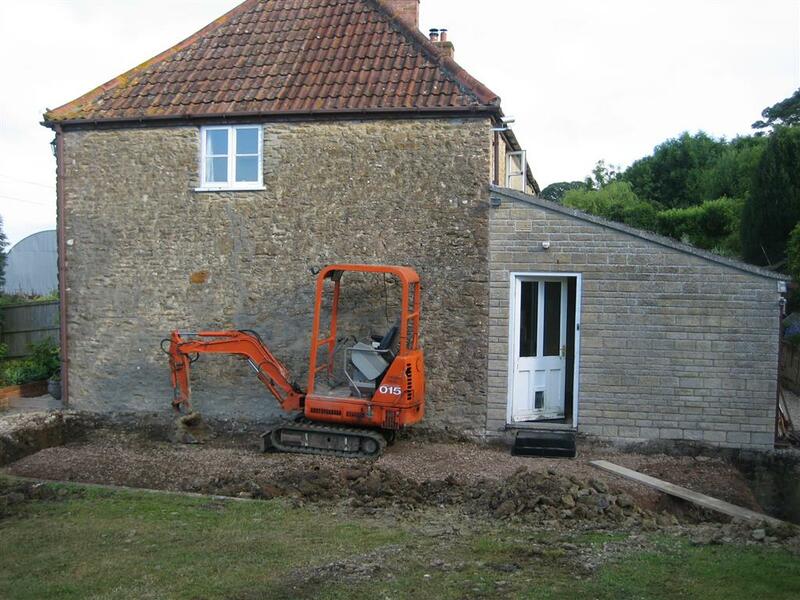 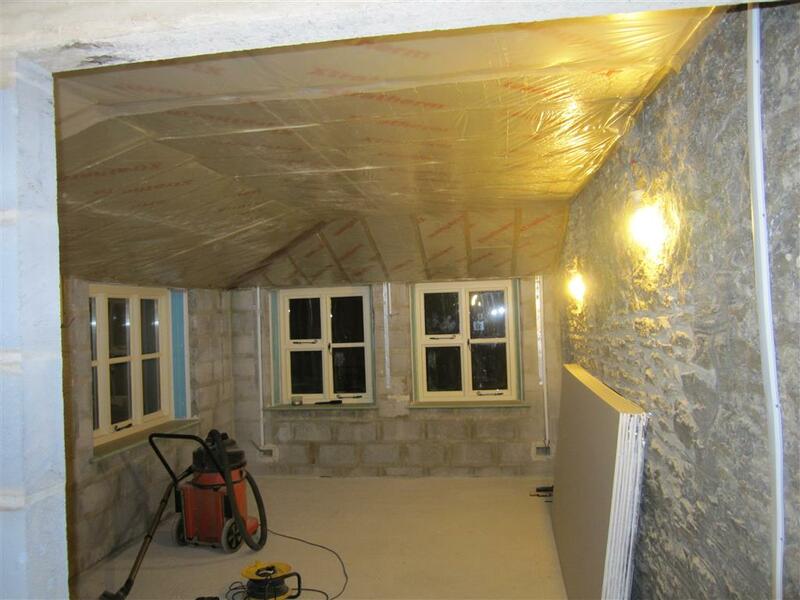 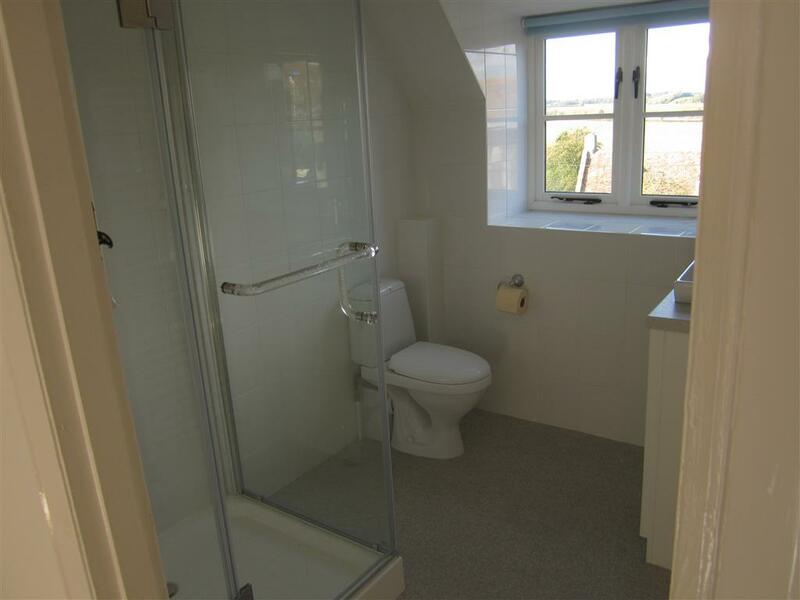 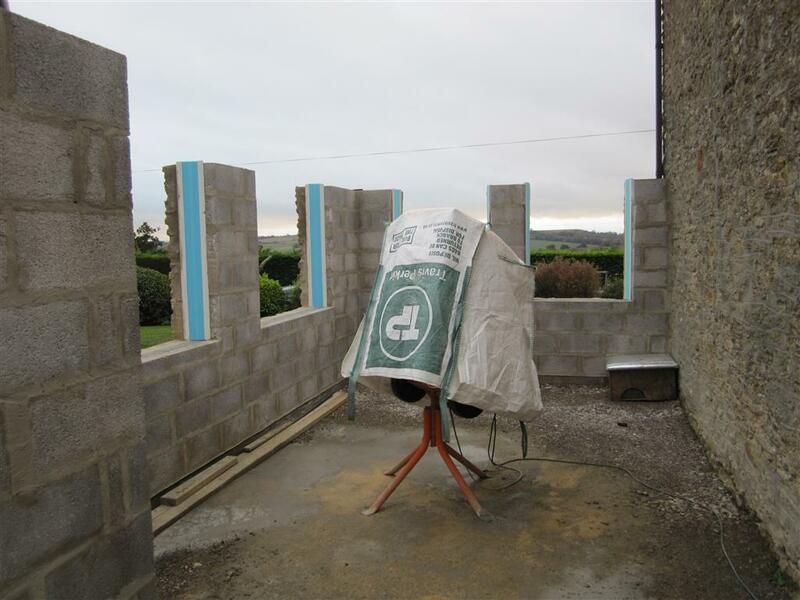 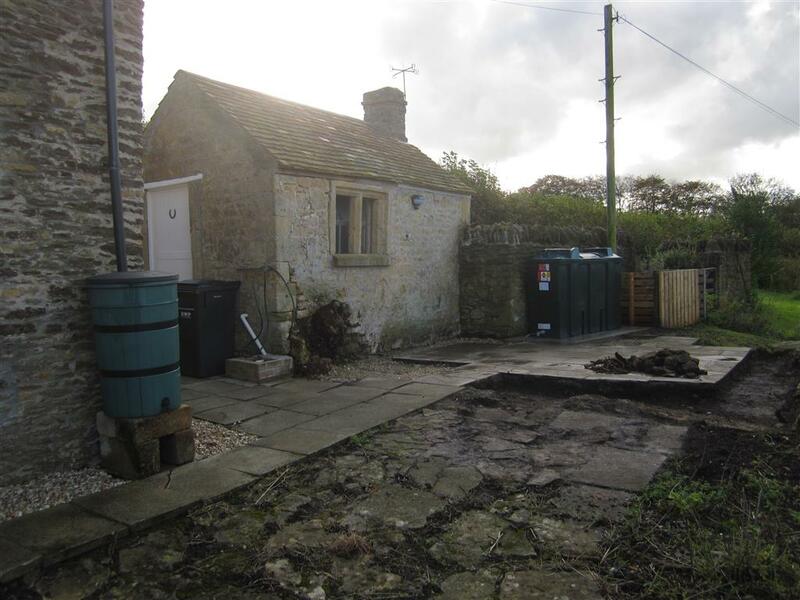 Consideration was taken throughout, not only to match the character of the property, but also to keep the works safe and tidy at all times to minimise inconvenience to the owners who remained living on site as the work was done. 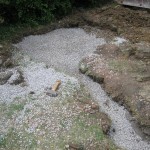 Four hours after work began on the soakaways and you would not know that we had been there! 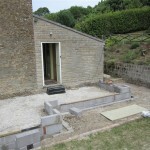 Footings dug. 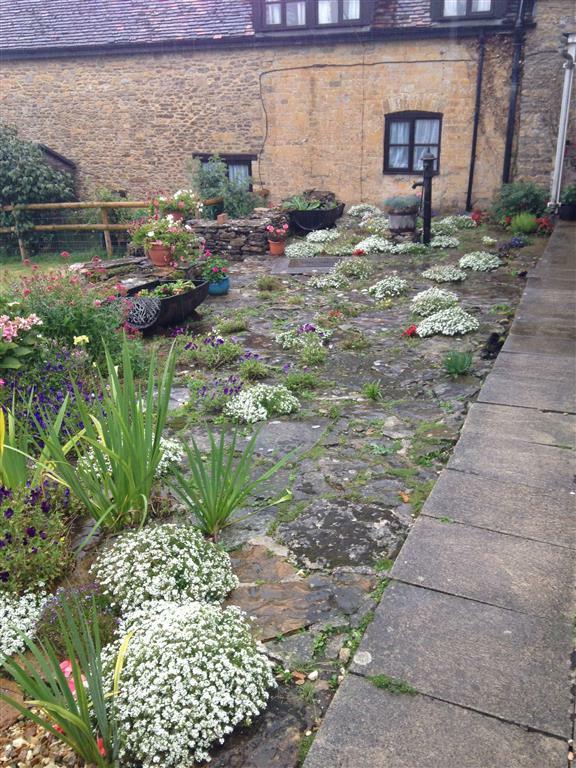 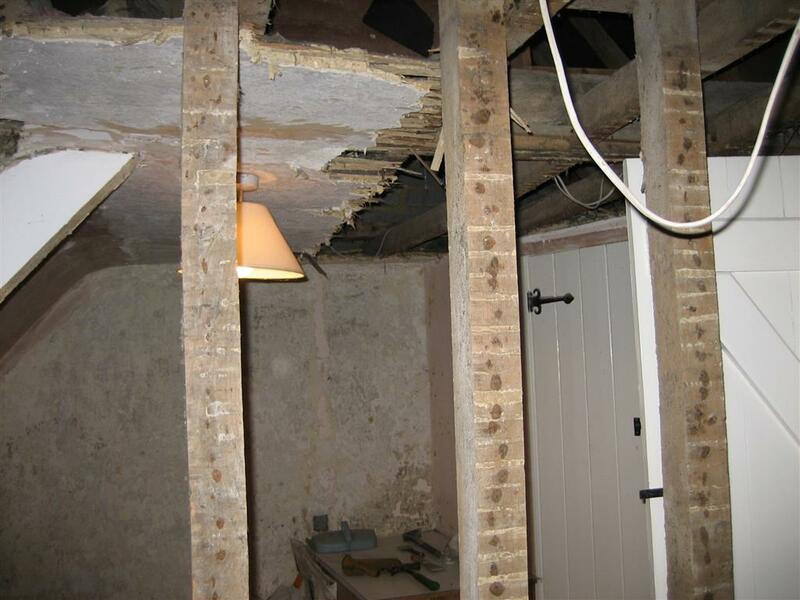 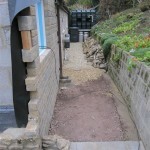 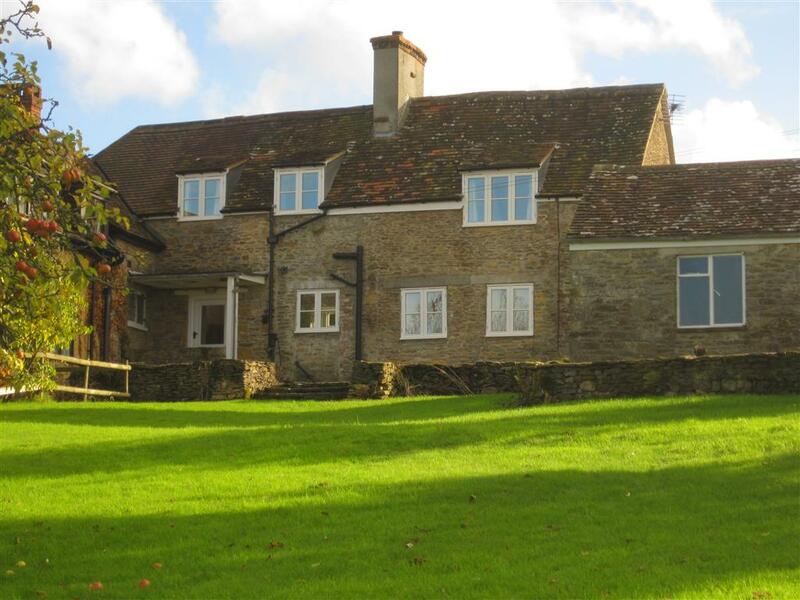 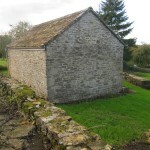 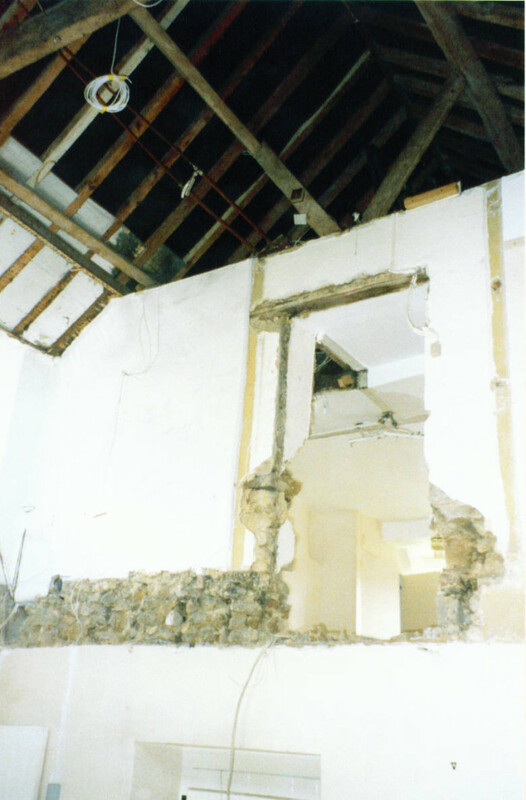 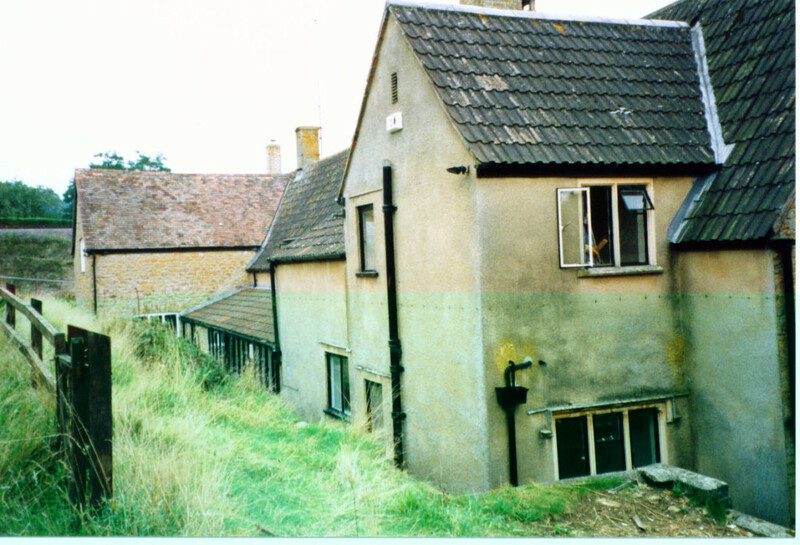 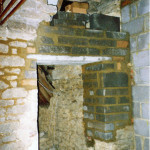 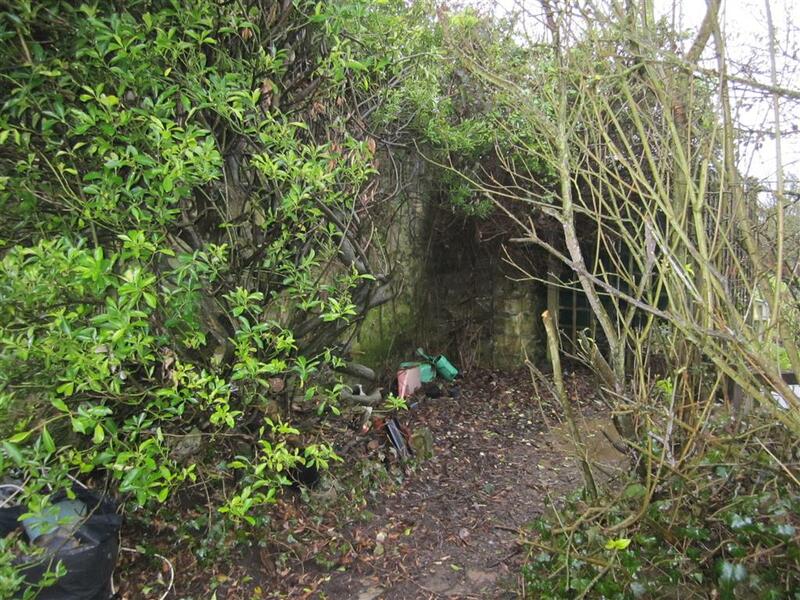 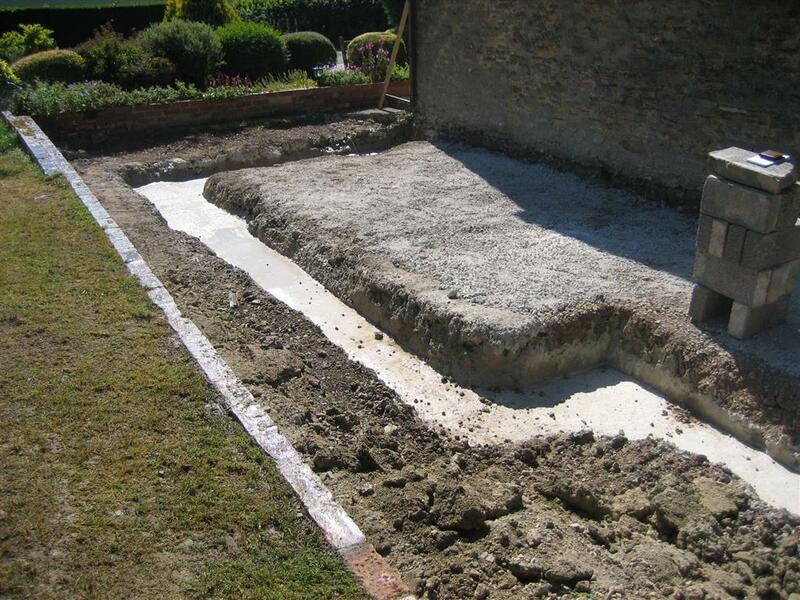 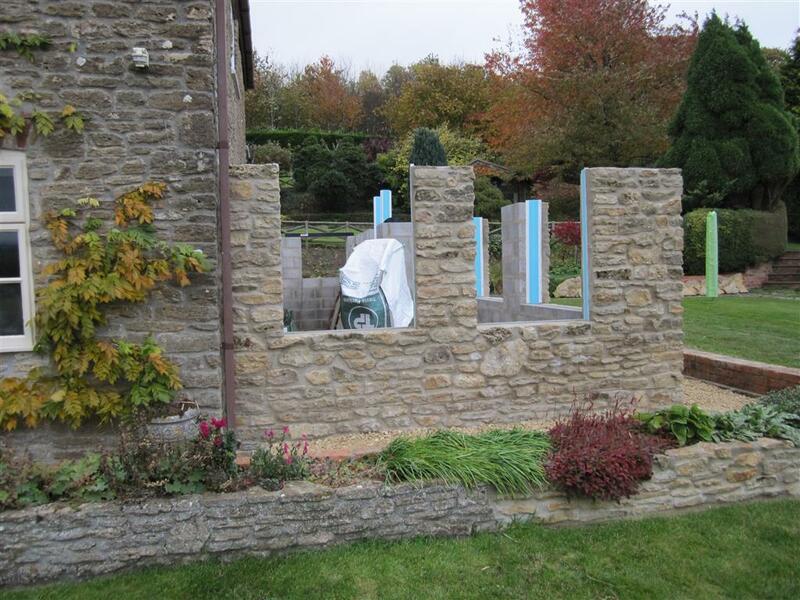 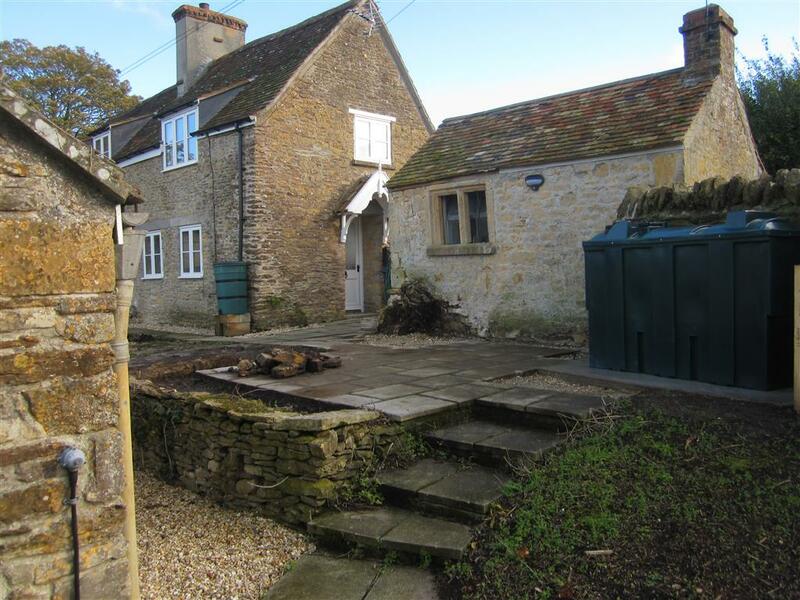 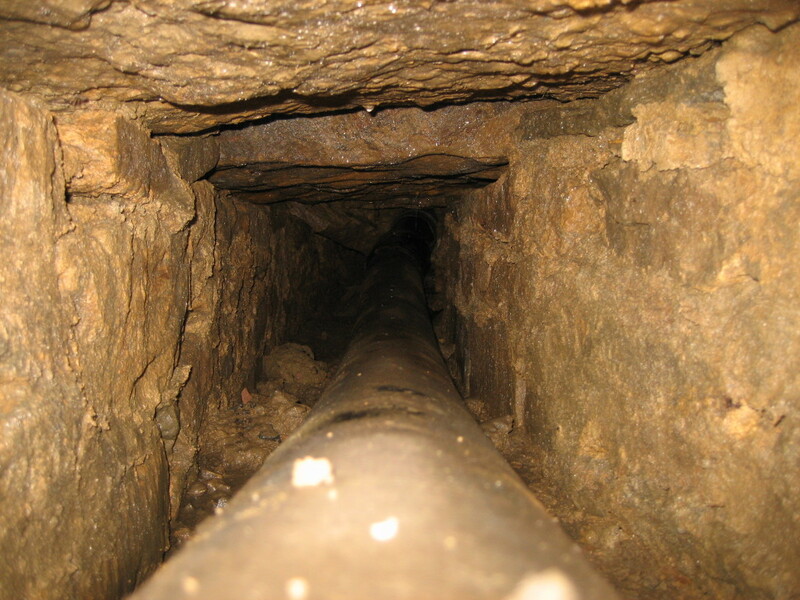 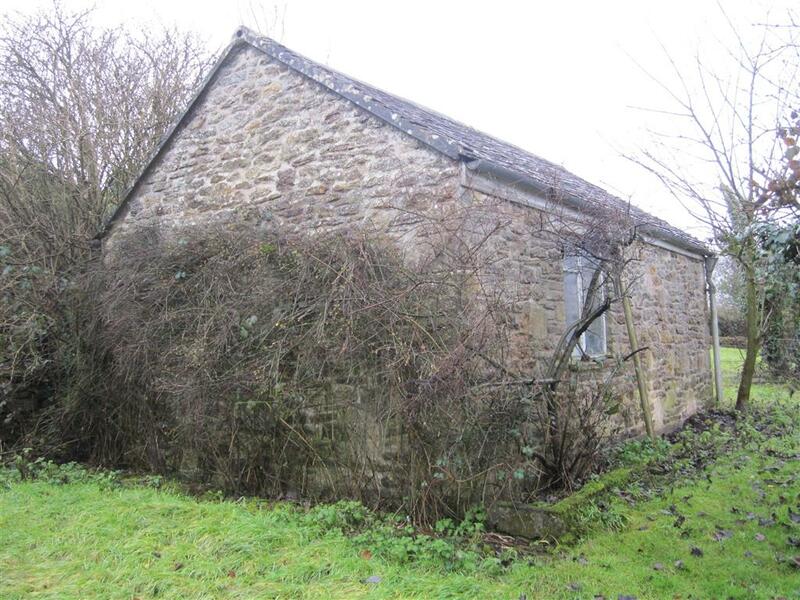 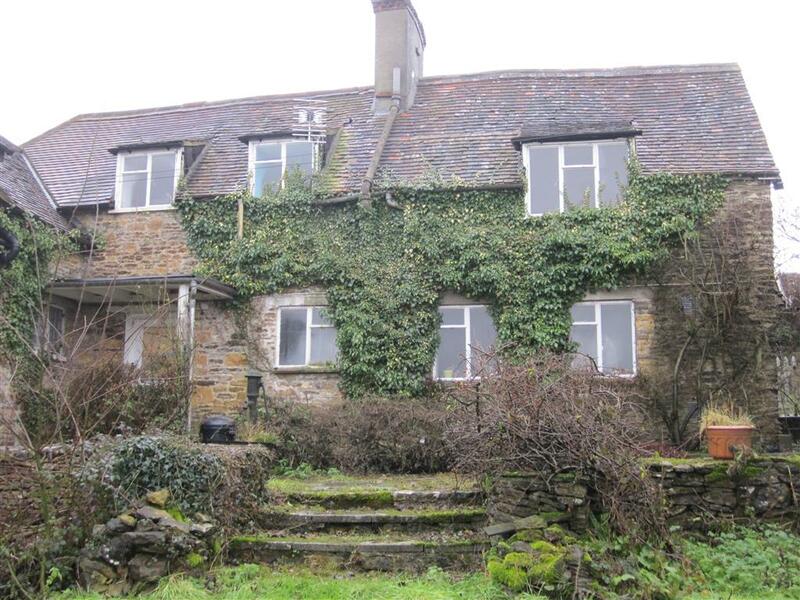 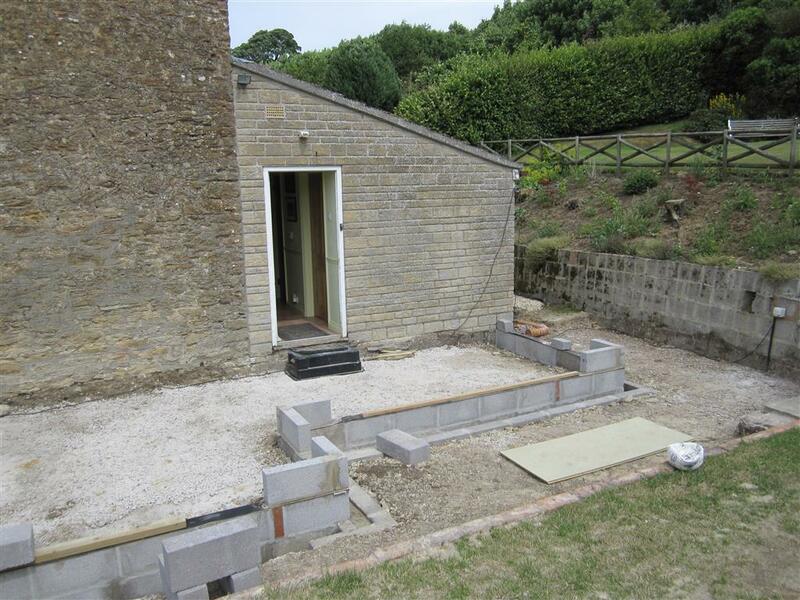 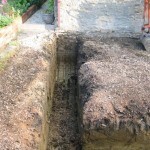 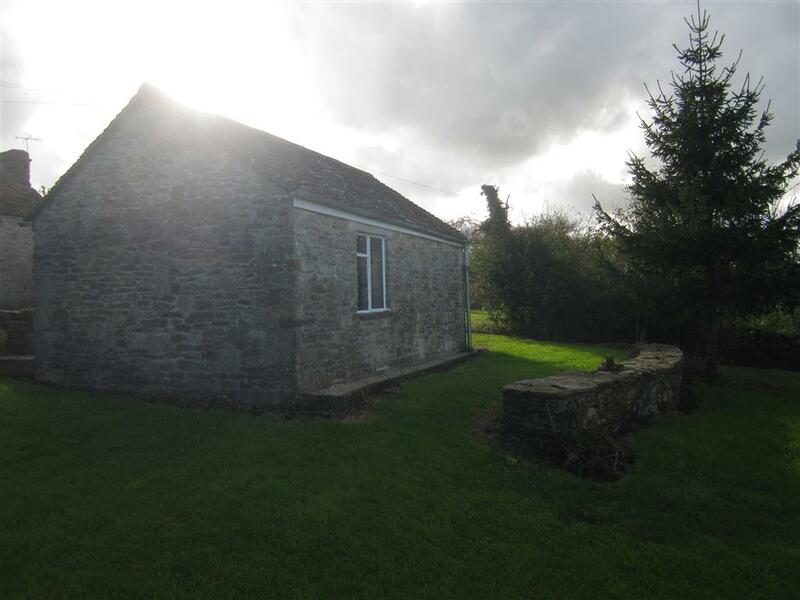 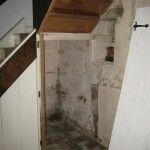 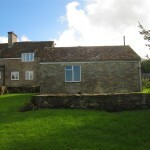 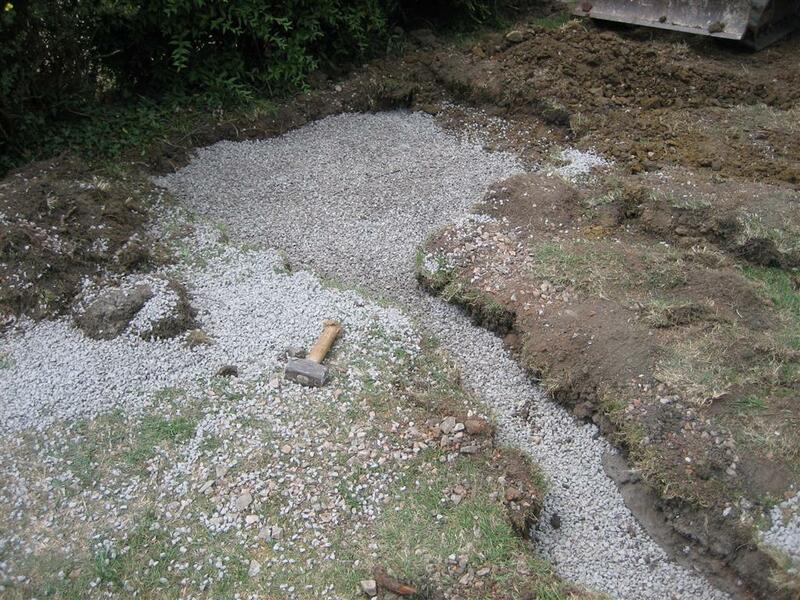 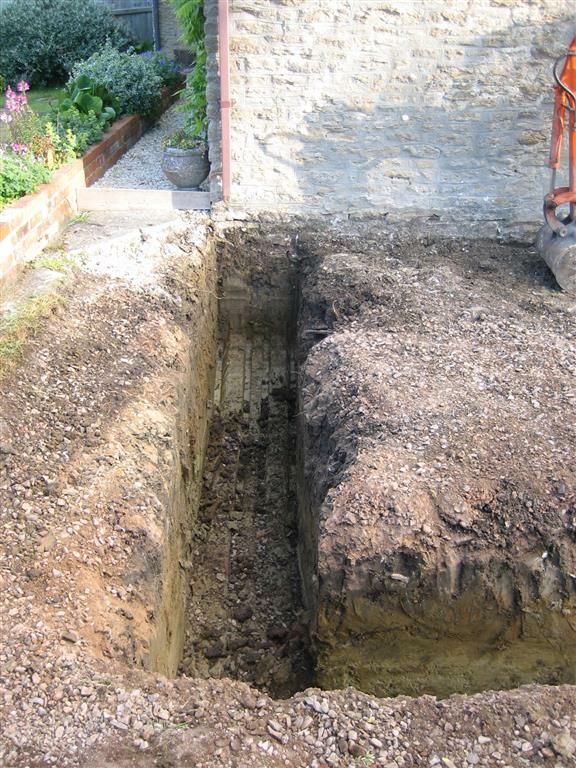 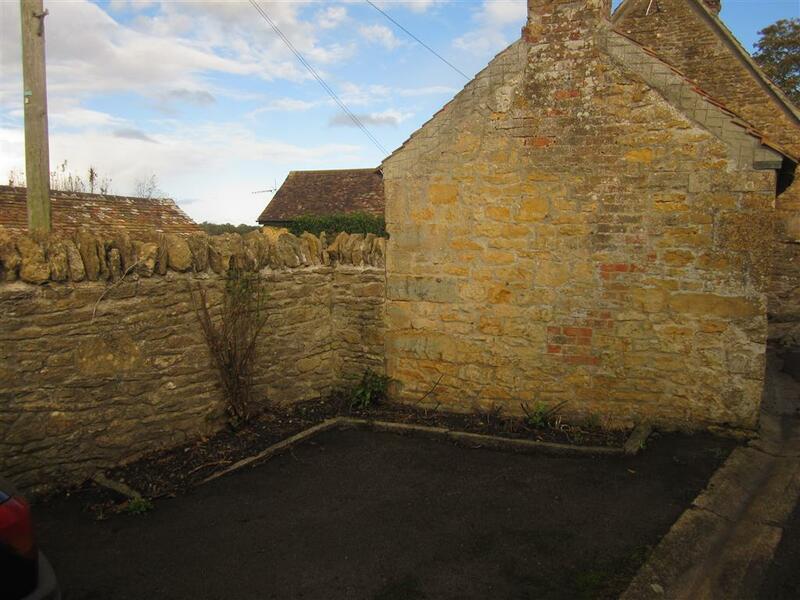 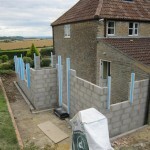 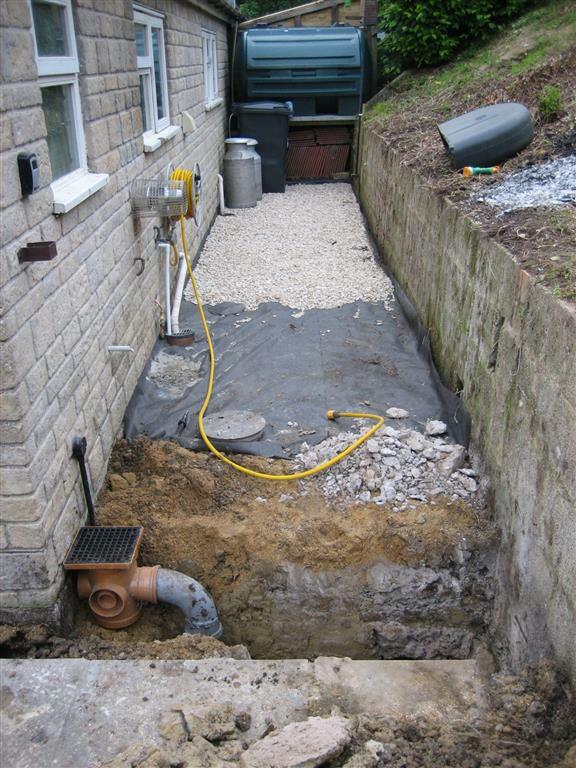 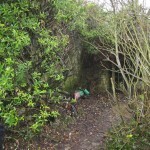 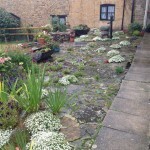 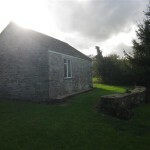 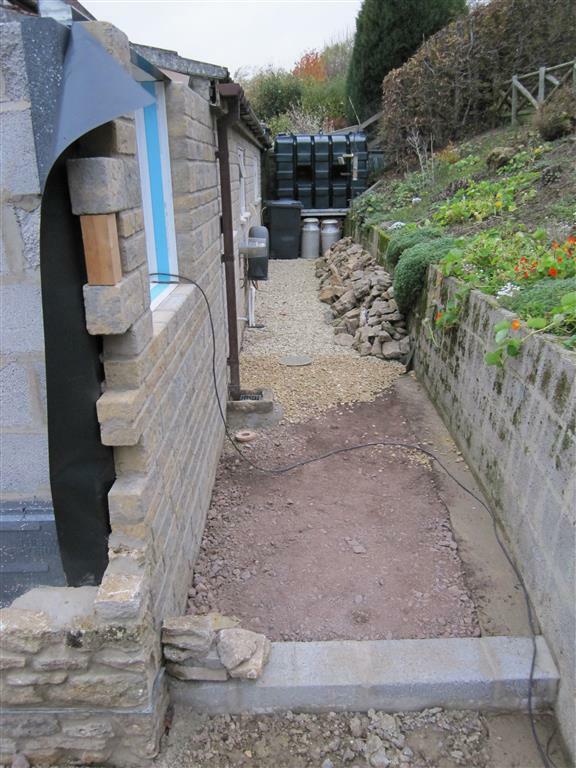 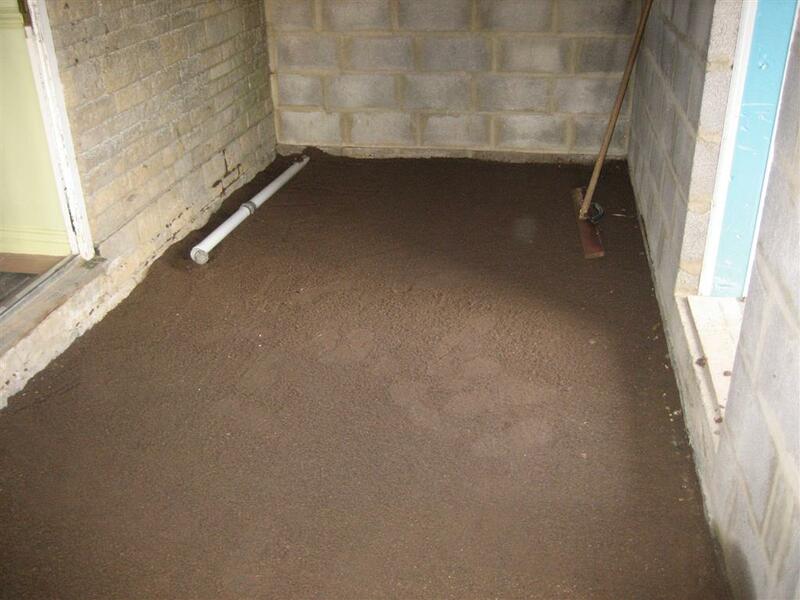 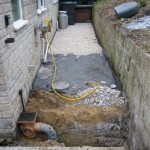 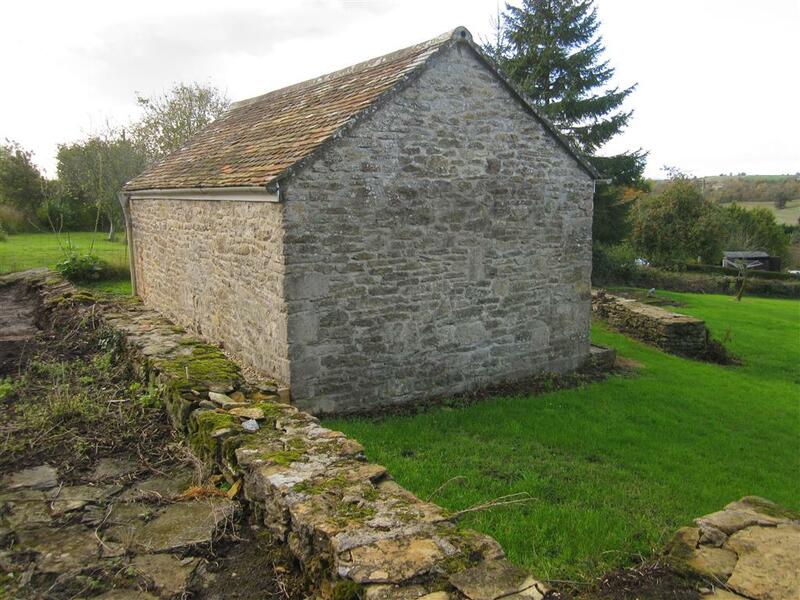 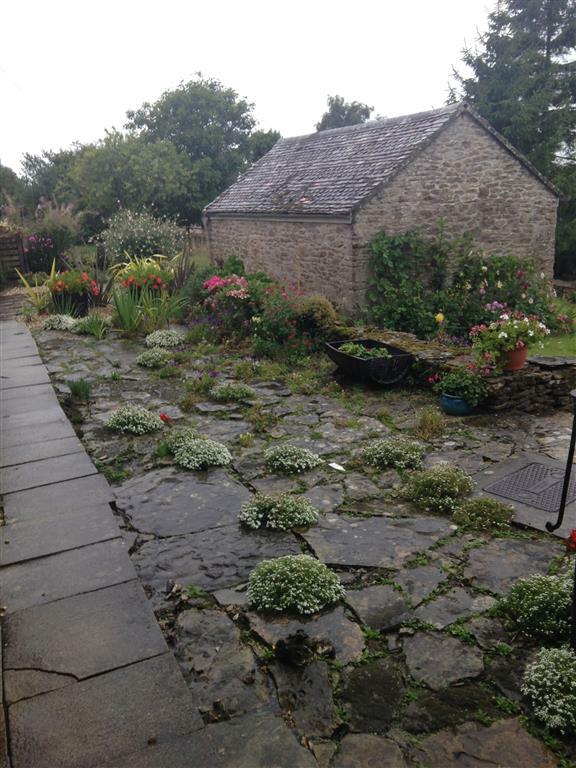 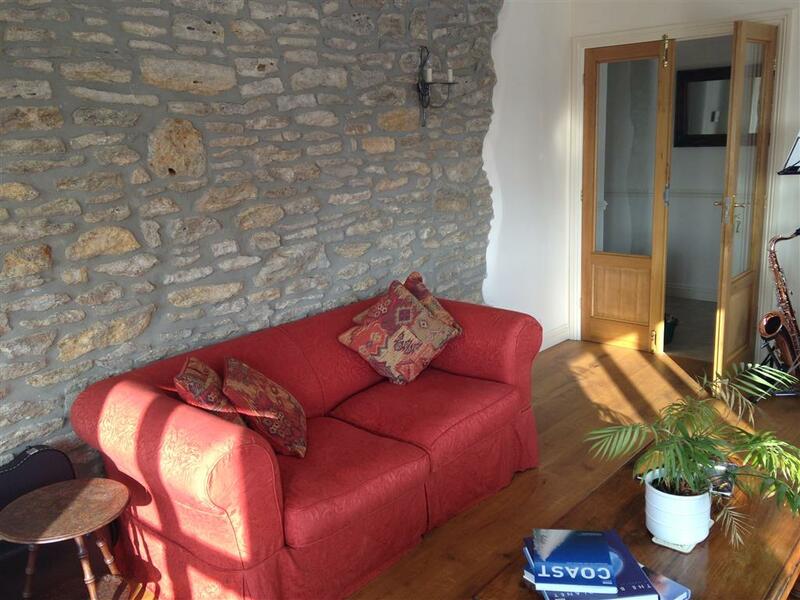 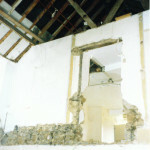 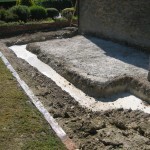 The original house footings are approximately only 3 courses of stone below ground level! 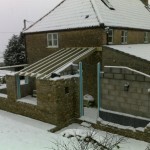 Some days it was just too cold to work! 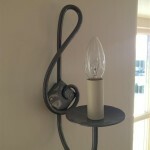 Even the lights were themed!